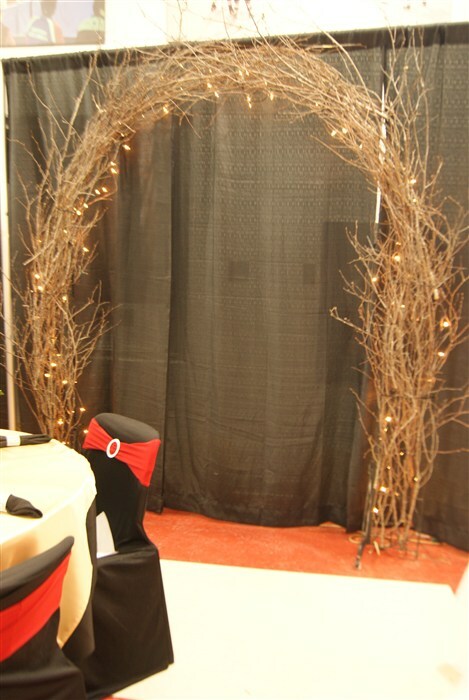 Allow us to transform your reception site into a world class experience. 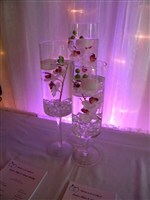 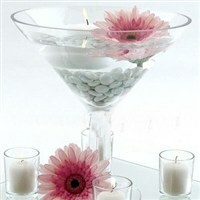 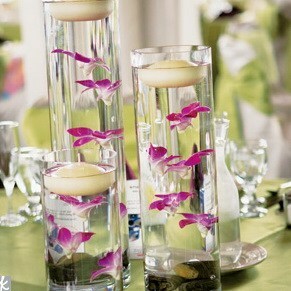 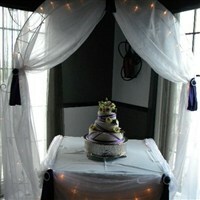 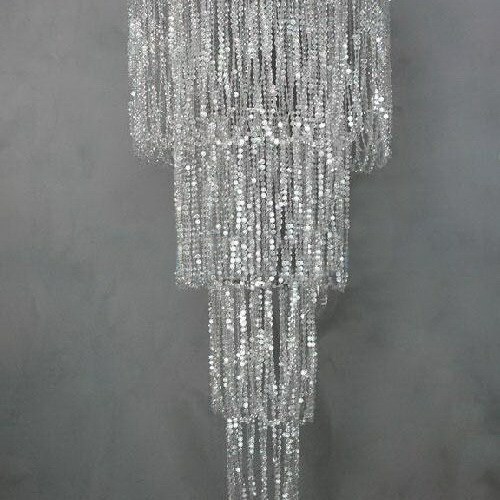 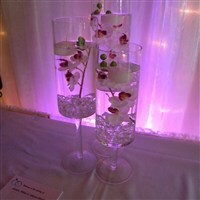 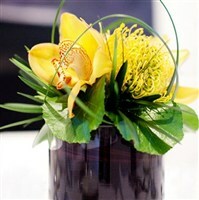 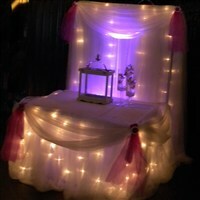 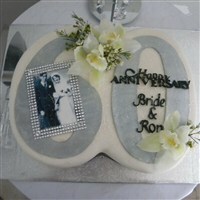 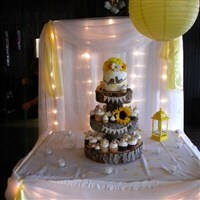 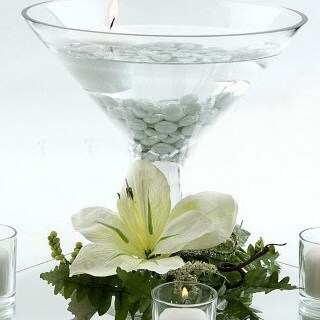 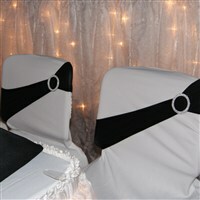 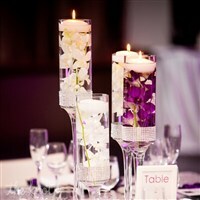 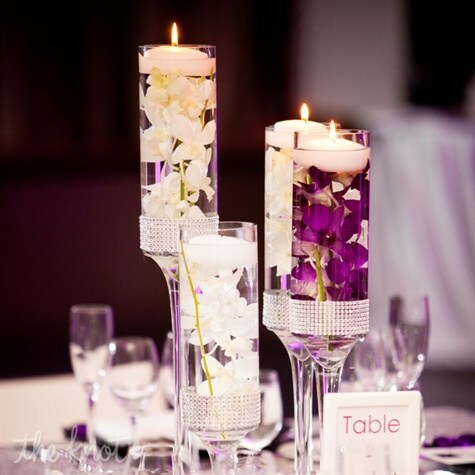 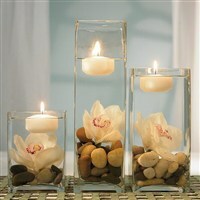 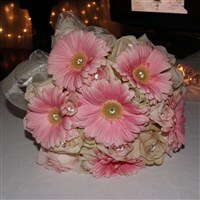 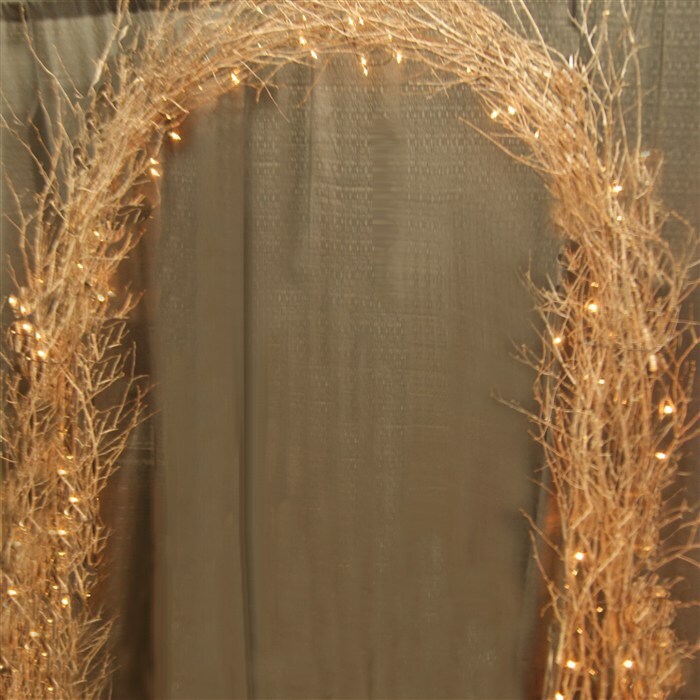 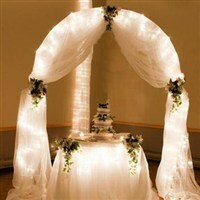 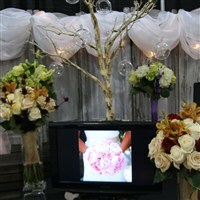 Feel free to send us pictures and ideas for themed weddings. 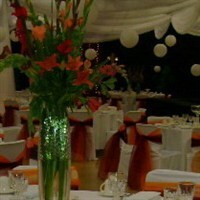 We want to make Your Day everything you dream it to be. 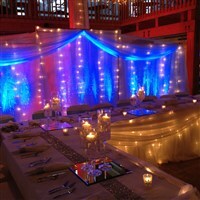 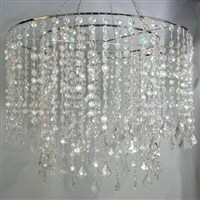 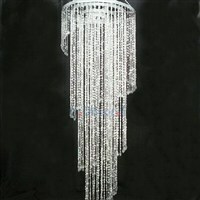 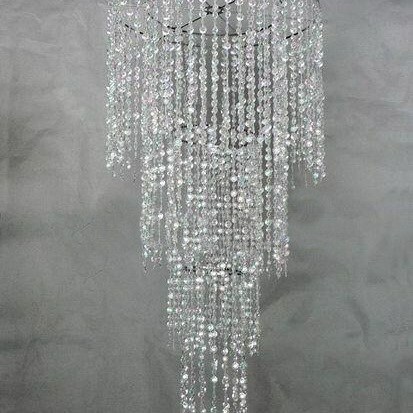 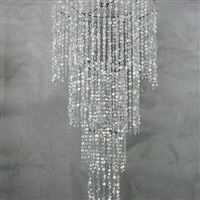 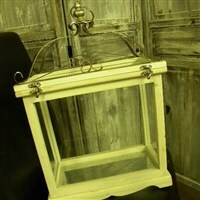 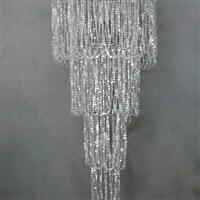 Pictures are sometimes sent to us by clients and are the original set-ups of various international decorators. 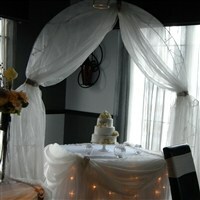 From time to time, these pictures may be posted to our site. 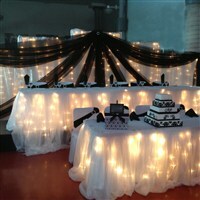 All set-ups / designs are currently available. 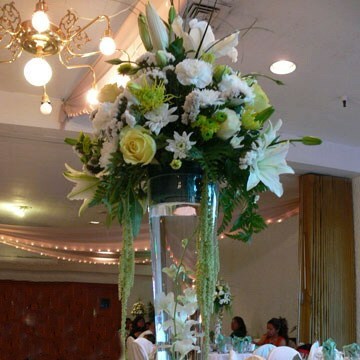 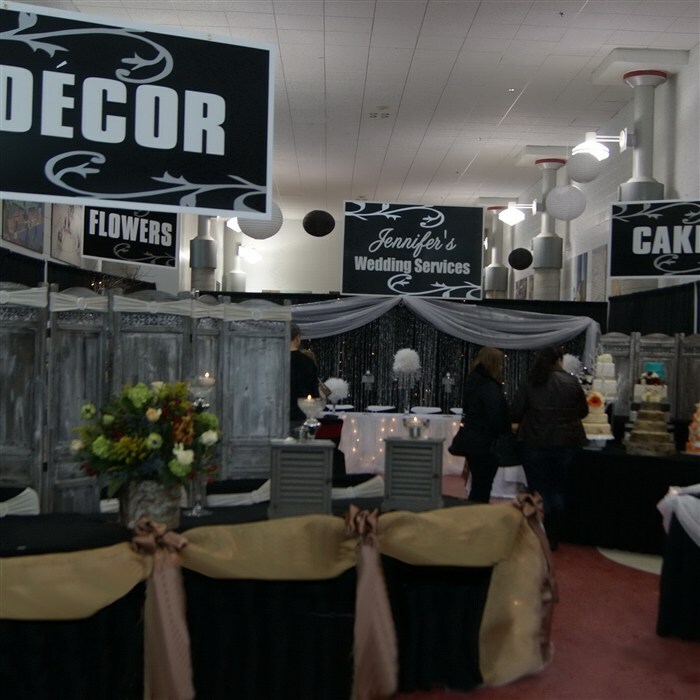 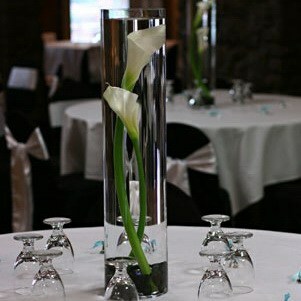 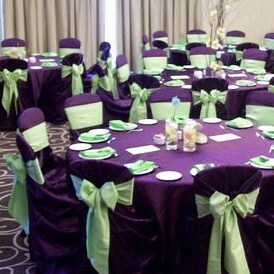 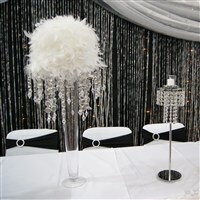 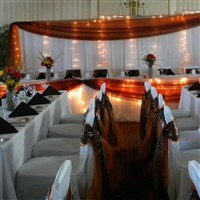 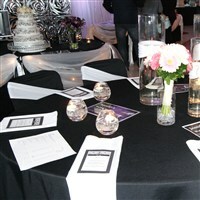 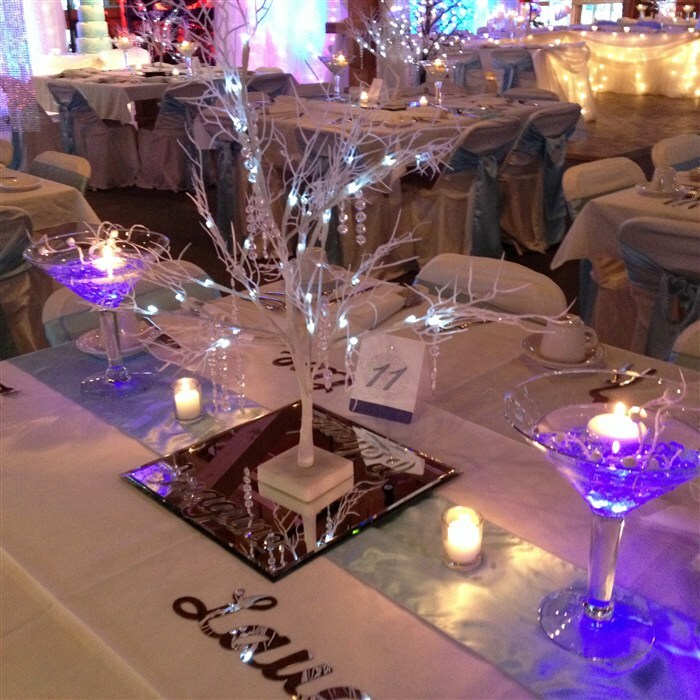 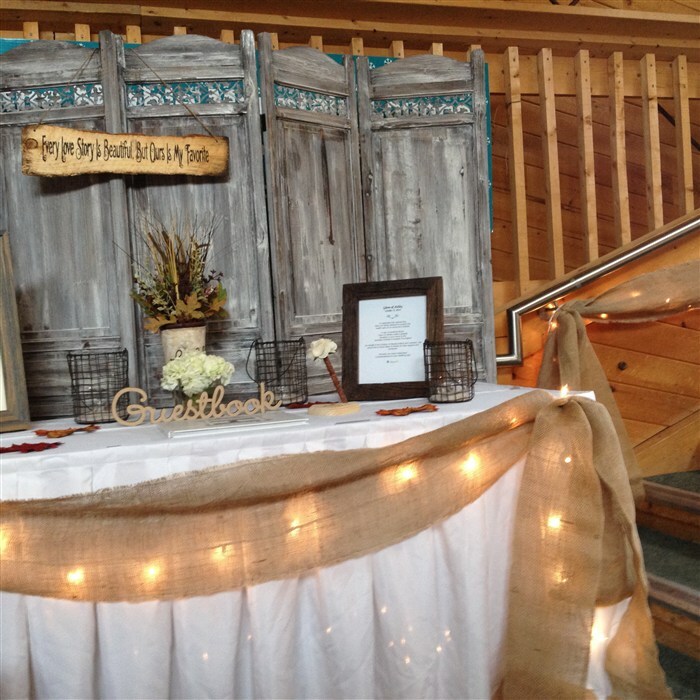 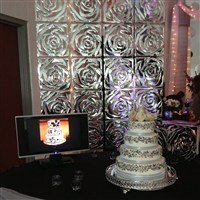 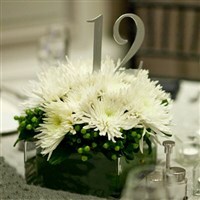 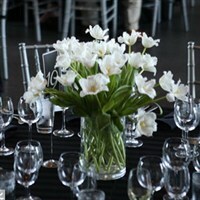 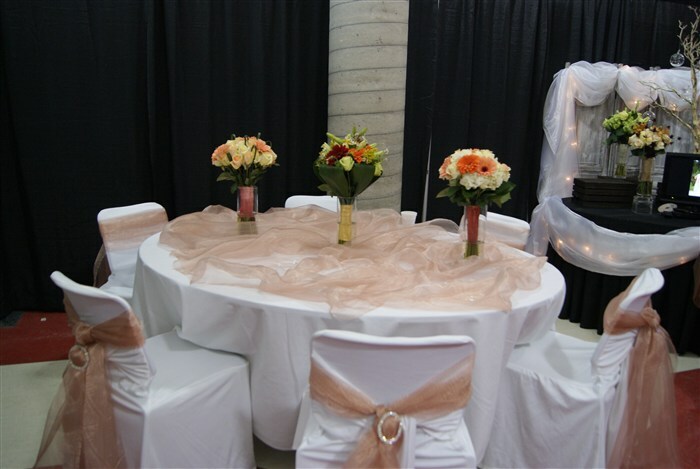 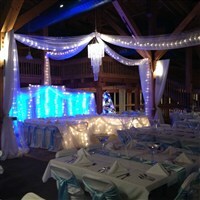 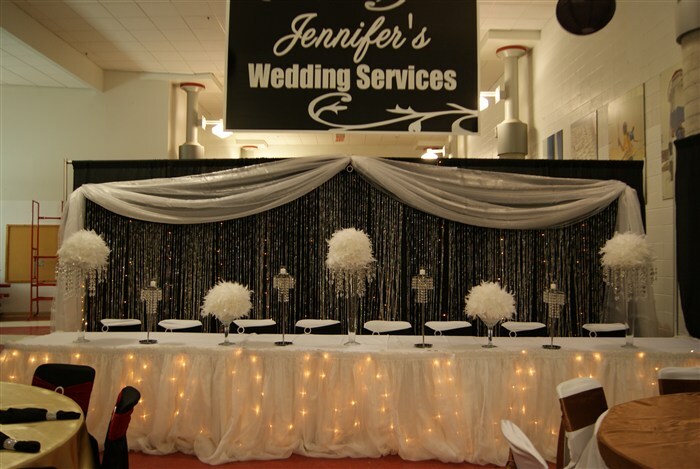 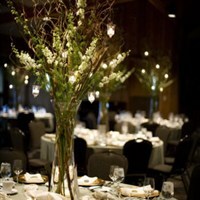 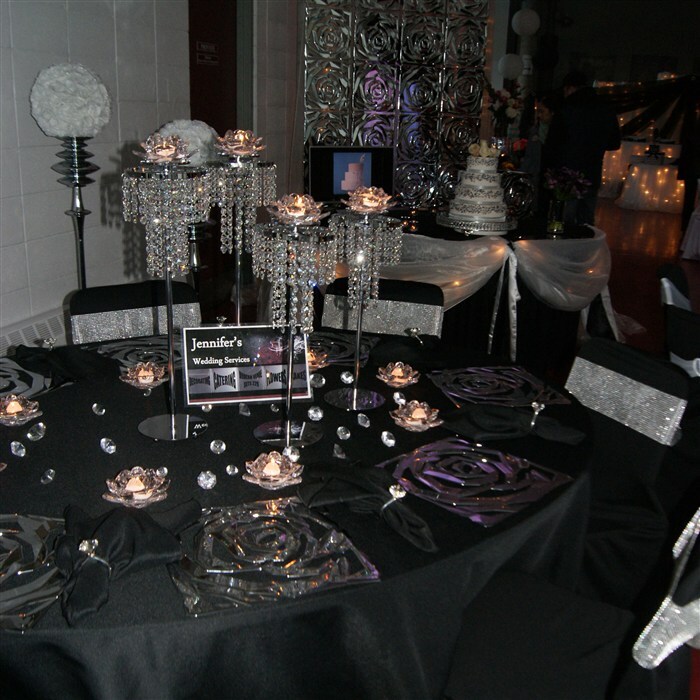 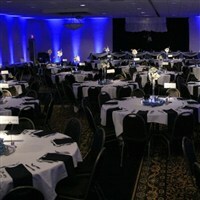 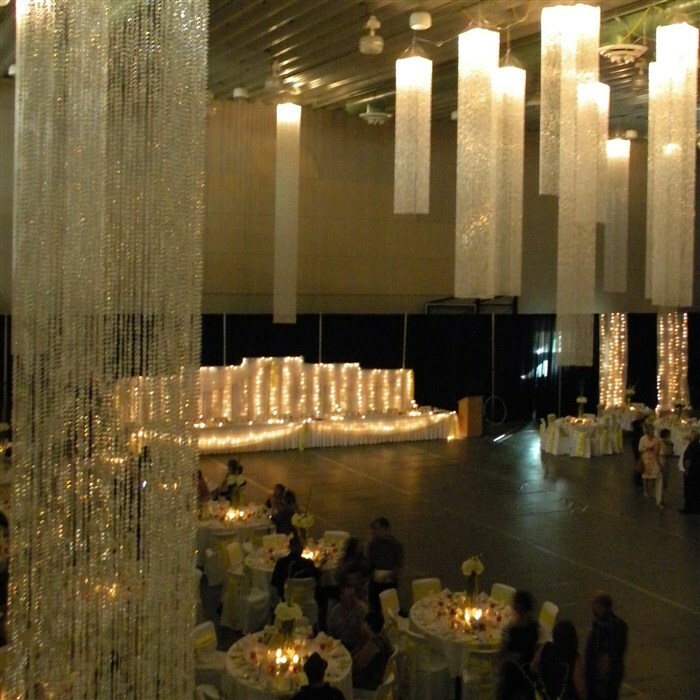 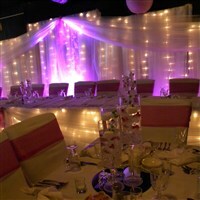 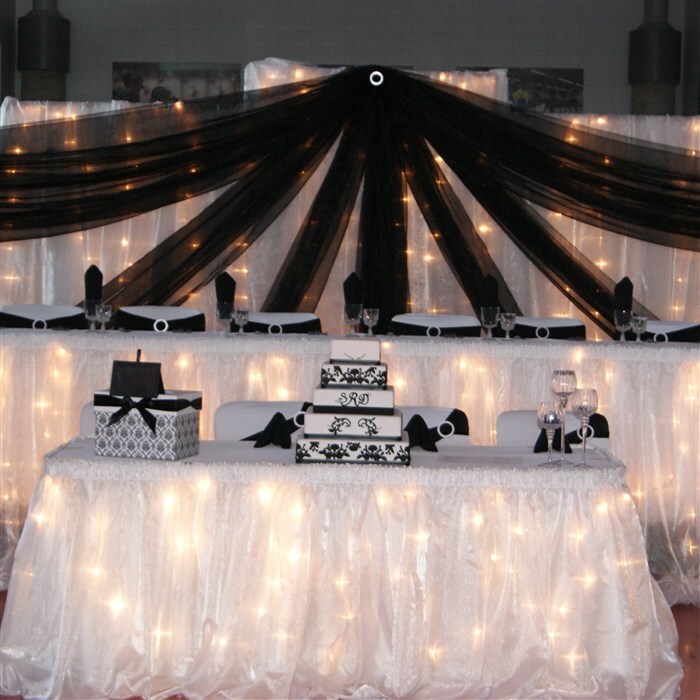 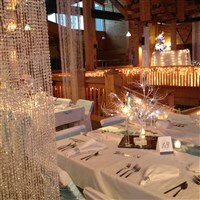 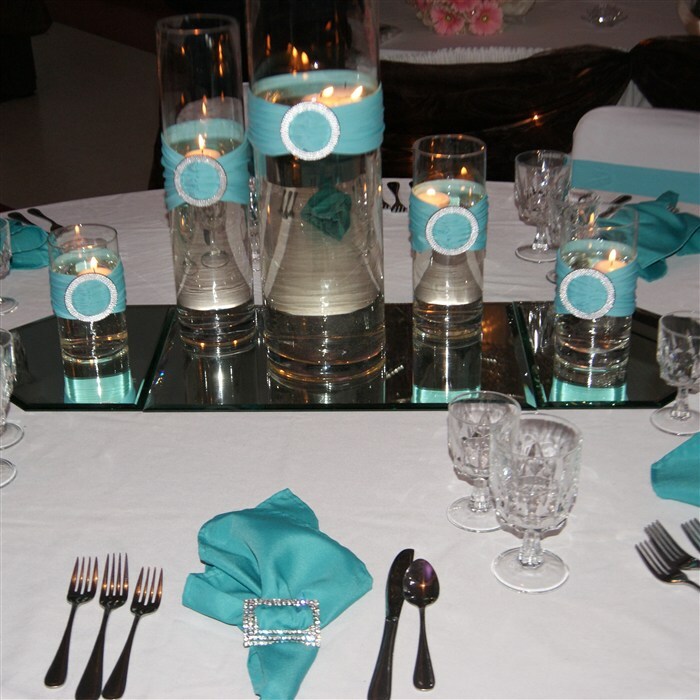 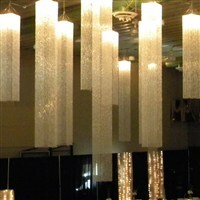 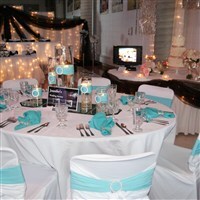 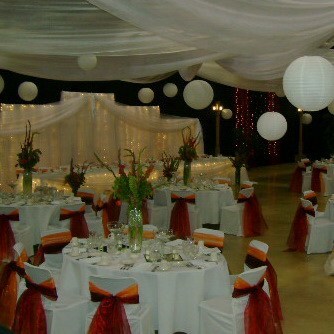 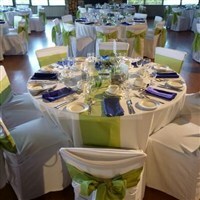 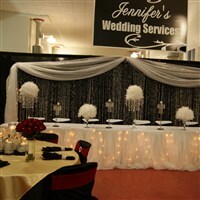 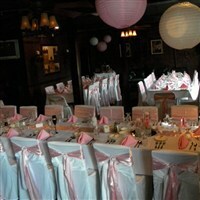 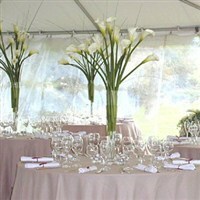 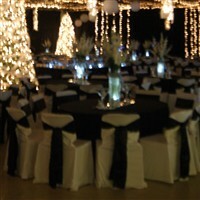 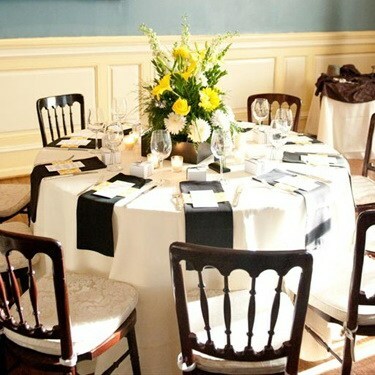 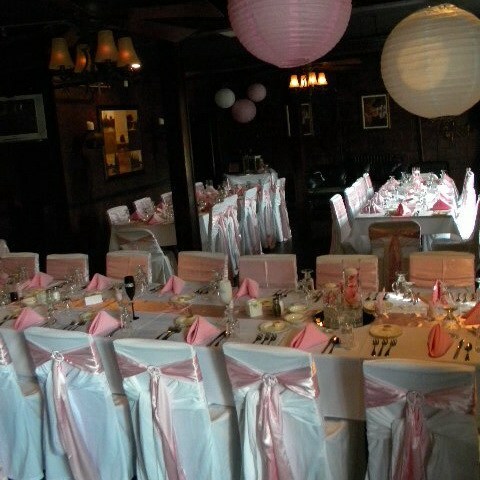 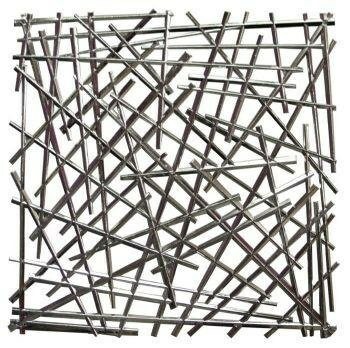 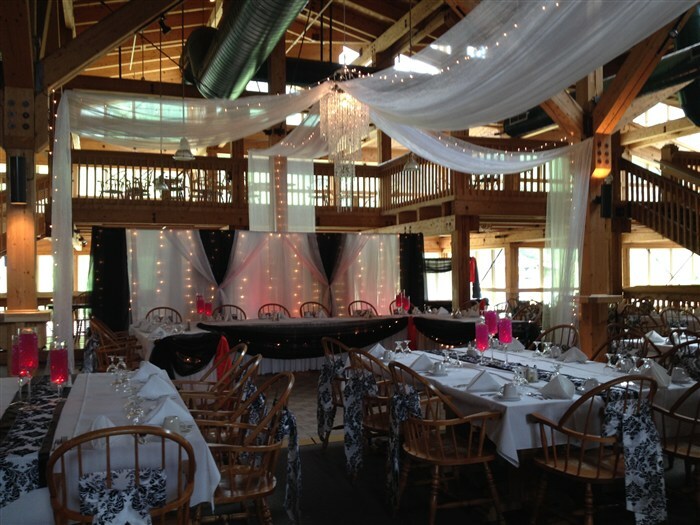 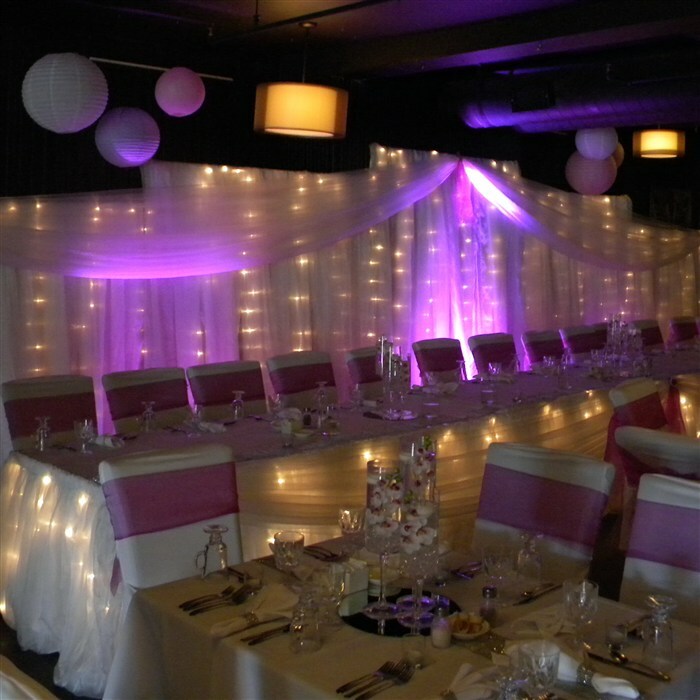 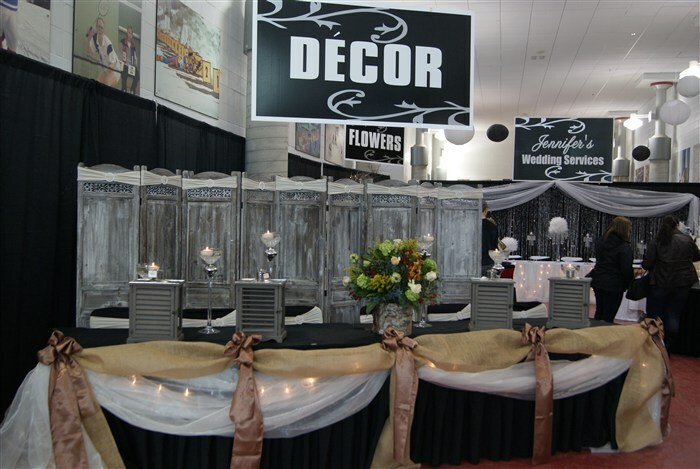 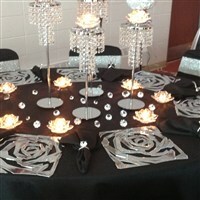 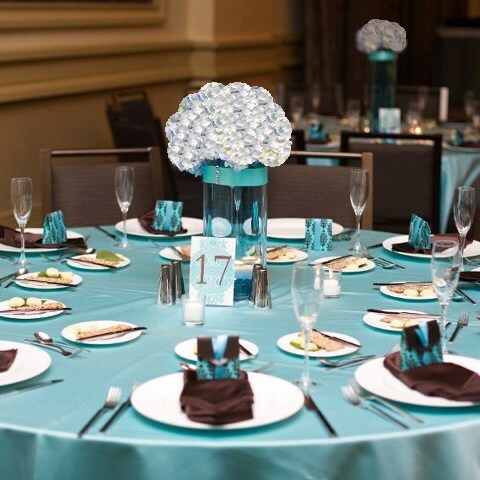 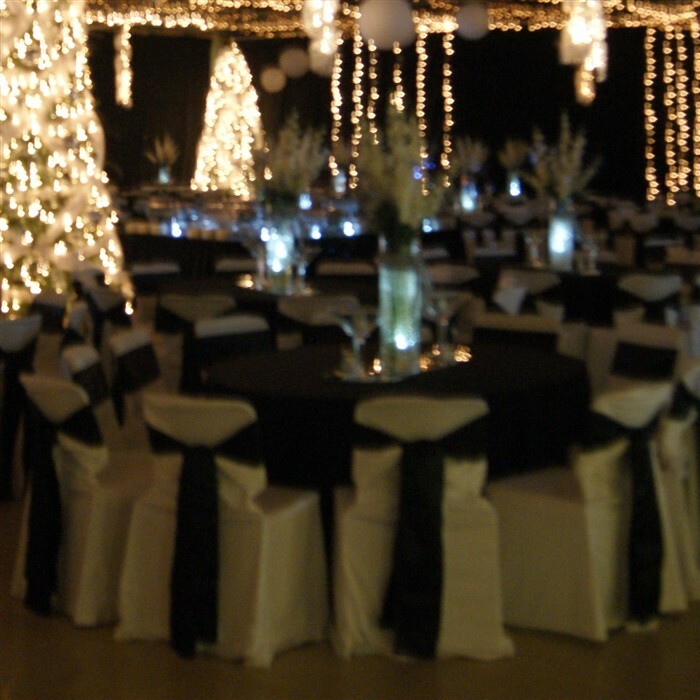 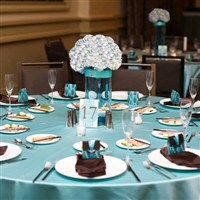 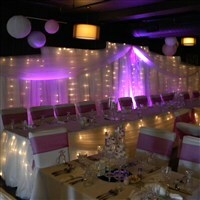 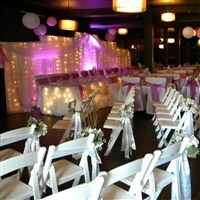 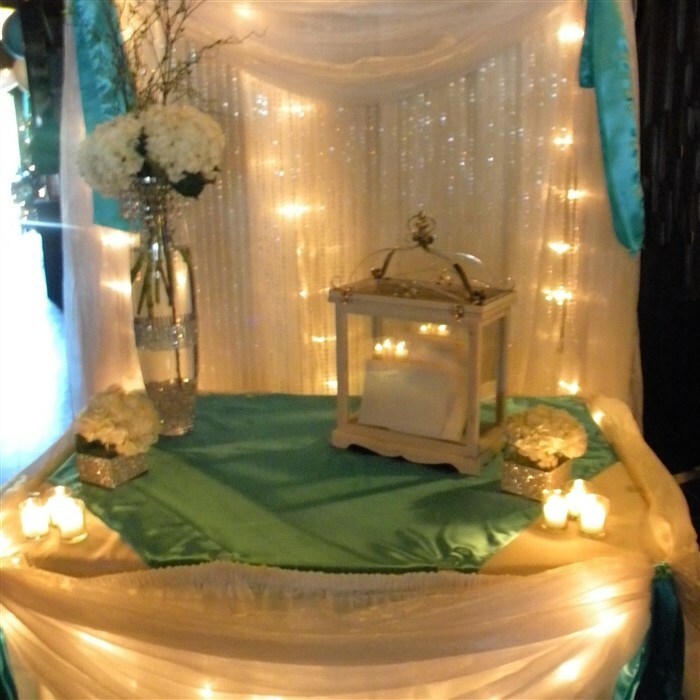 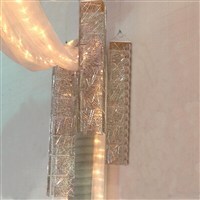 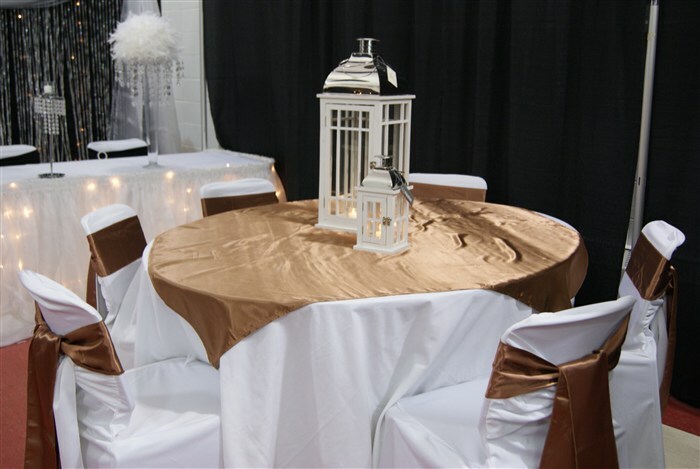 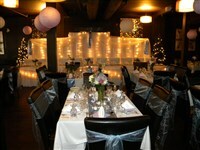 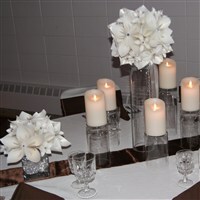 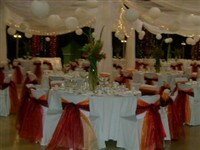 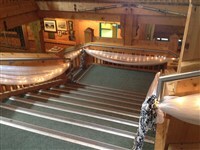 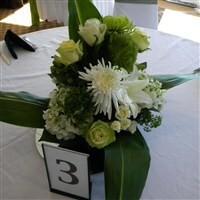 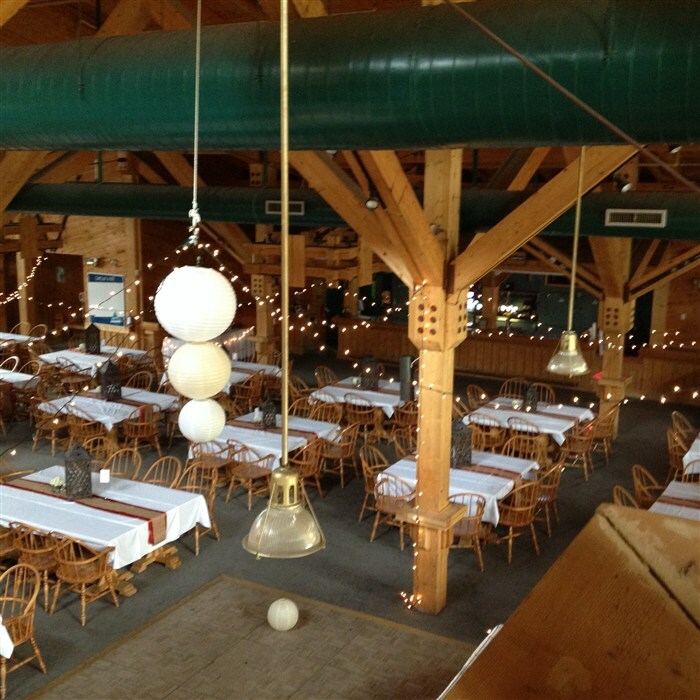 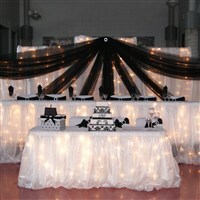 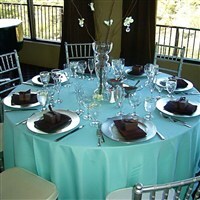 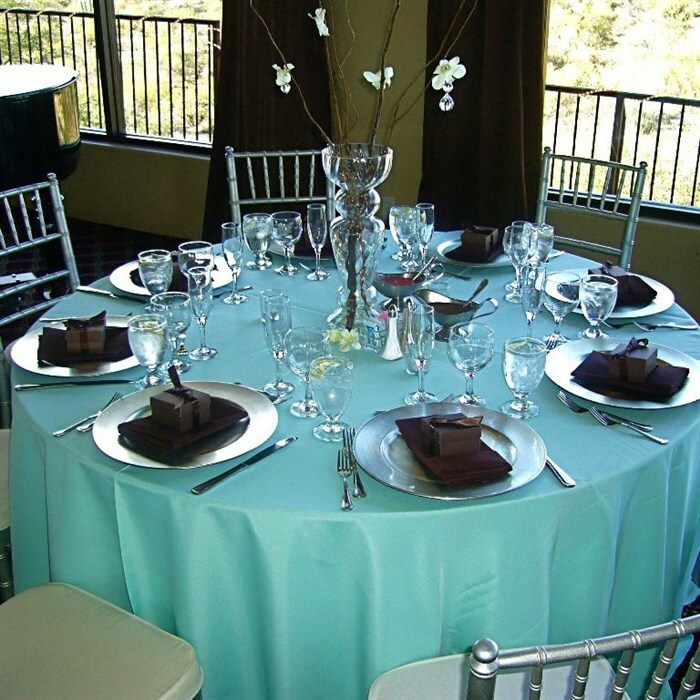 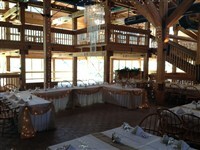 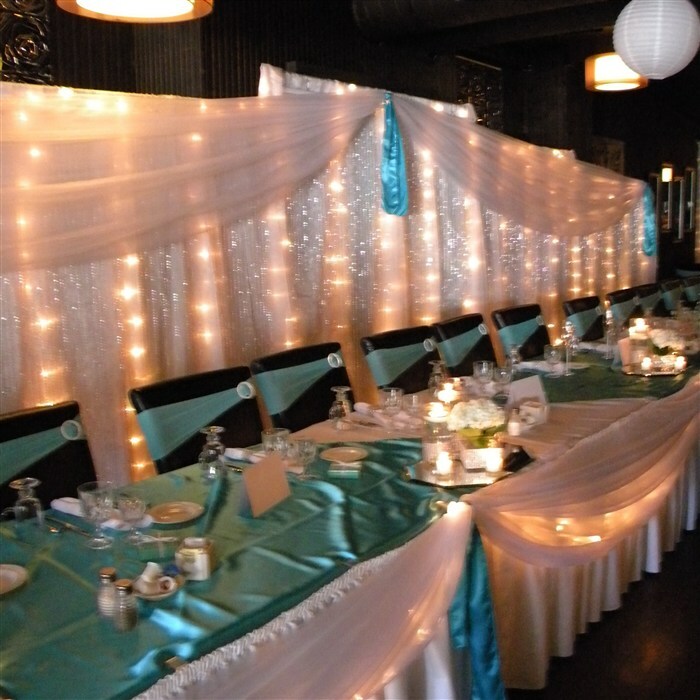 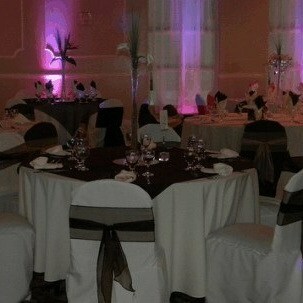 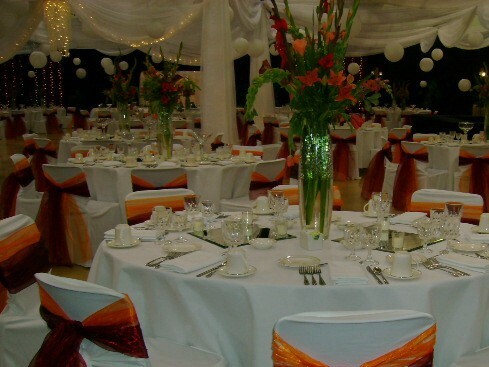 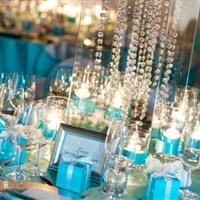 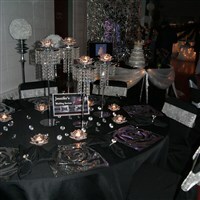 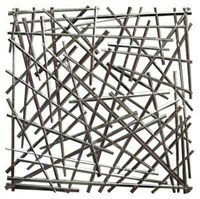 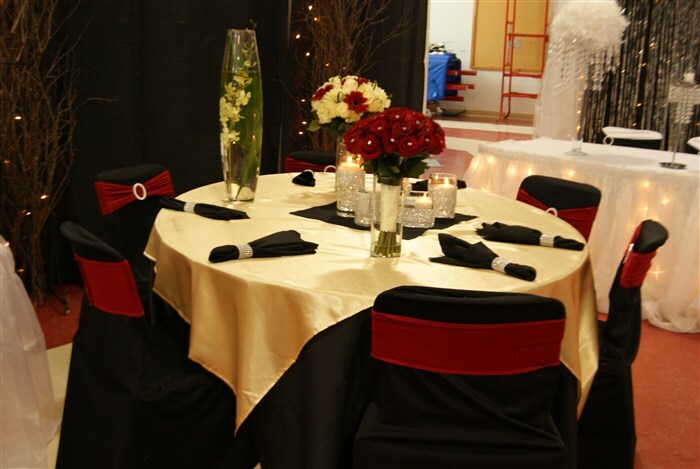 #98 Jennifer's Main Floor Venue Shows xlg backdrop #1 and table swags. 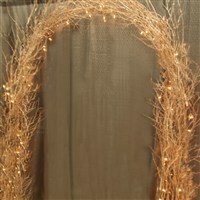 Table swags have lights (not pictured here). 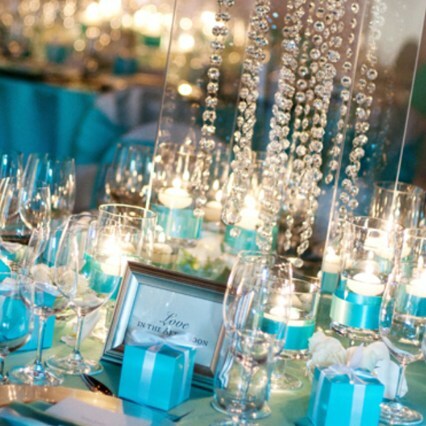 "Where to begin?... Your attention to detail is unmatched! We were blown away by the entire function, the brand new venue, the decor, the food, bar service, snack table, friendly staff, flowers decorations... all PERFECT! We can't thank you enough. 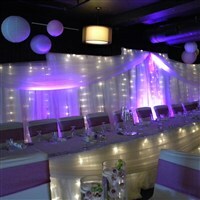 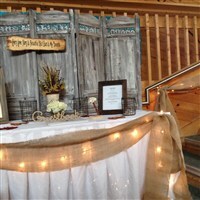 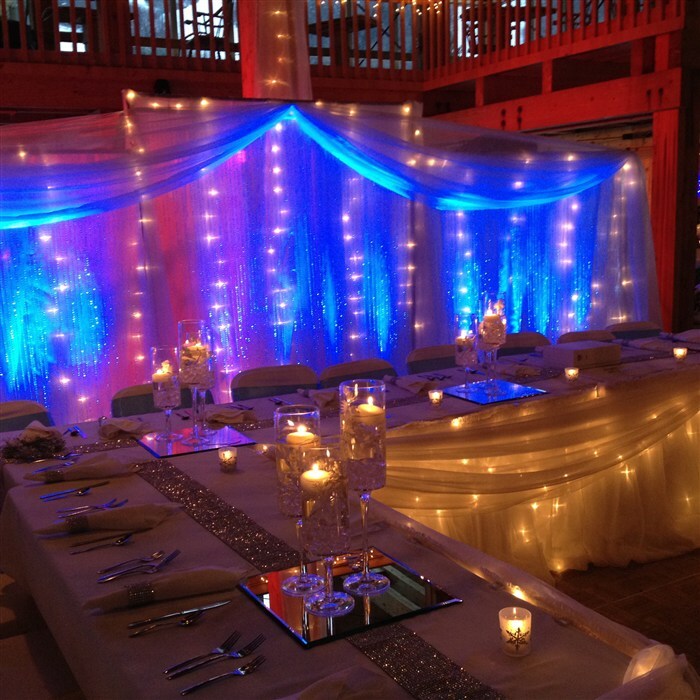 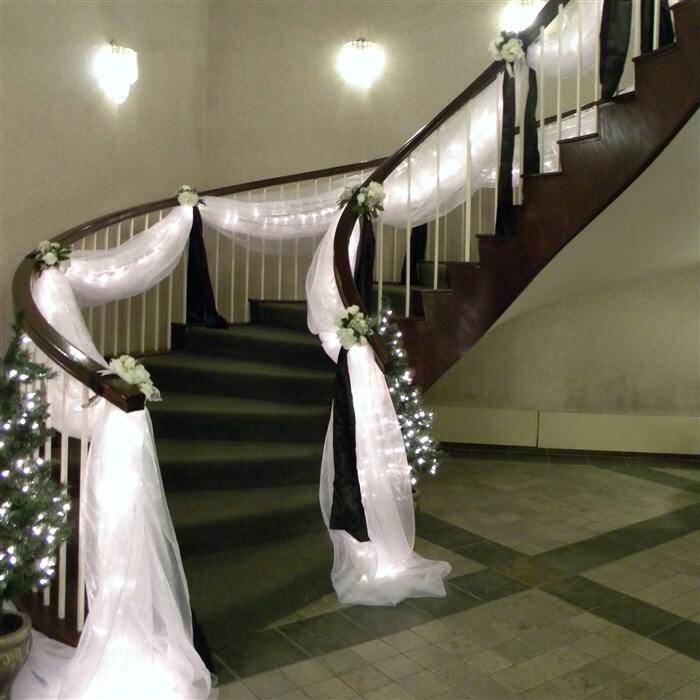 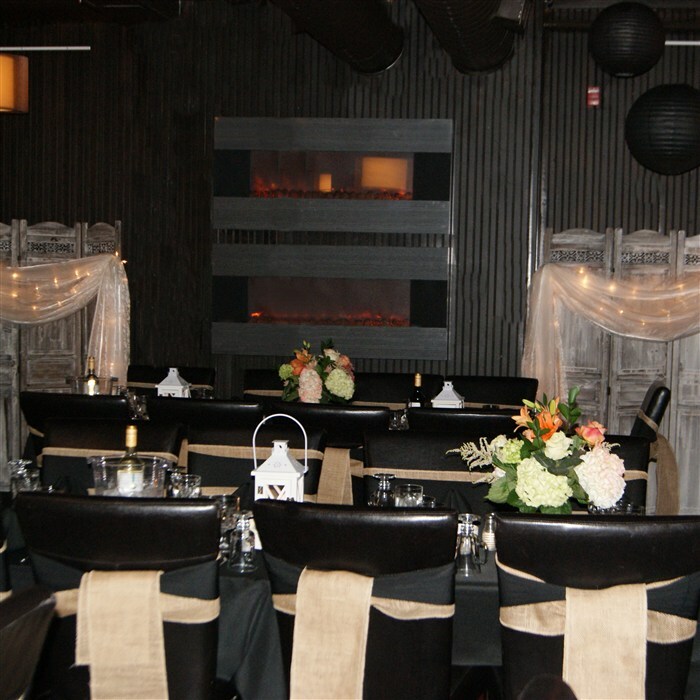 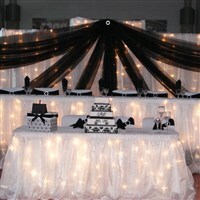 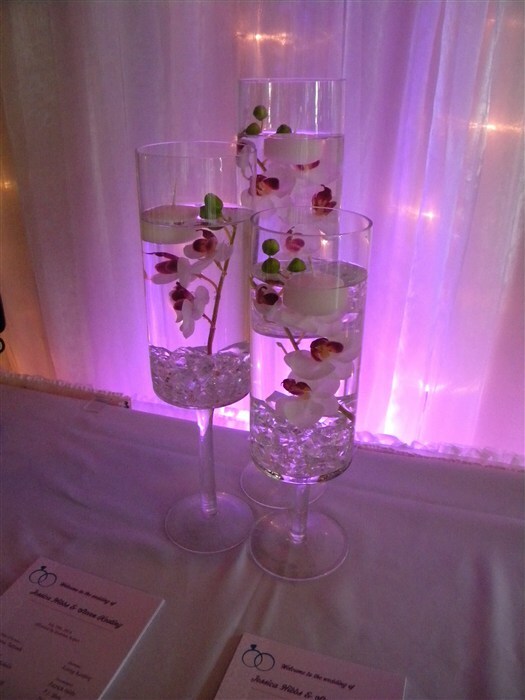 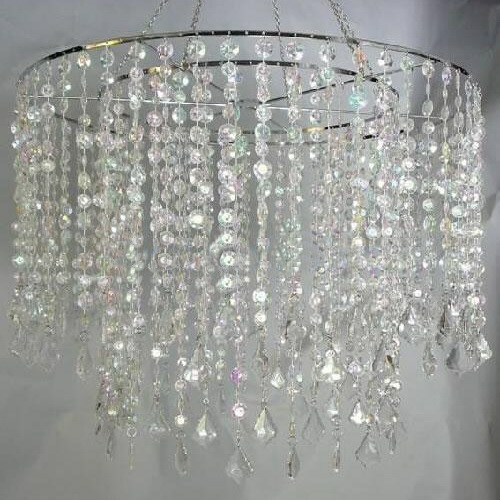 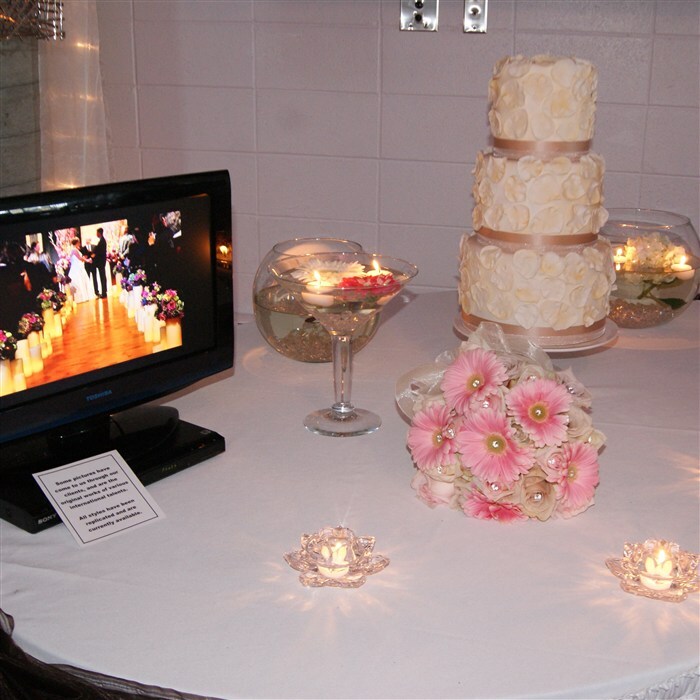 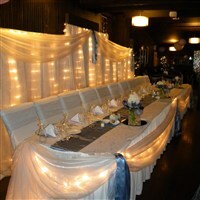 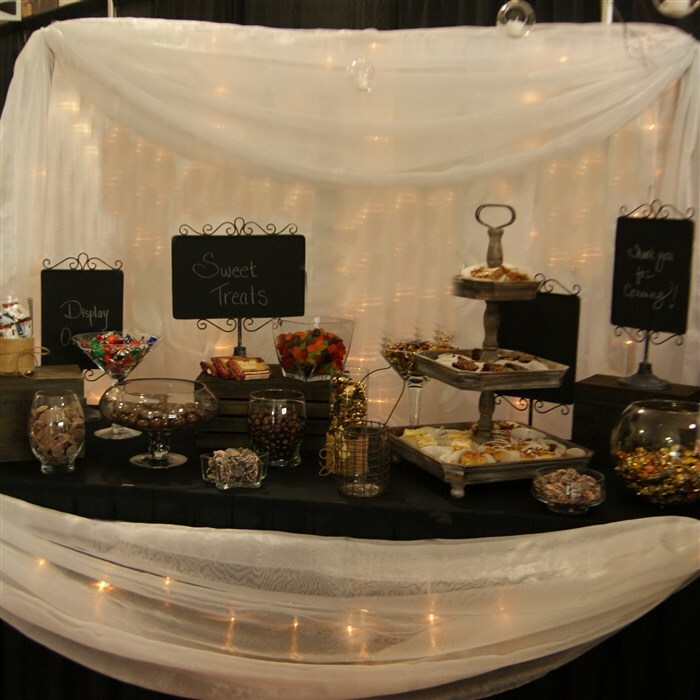 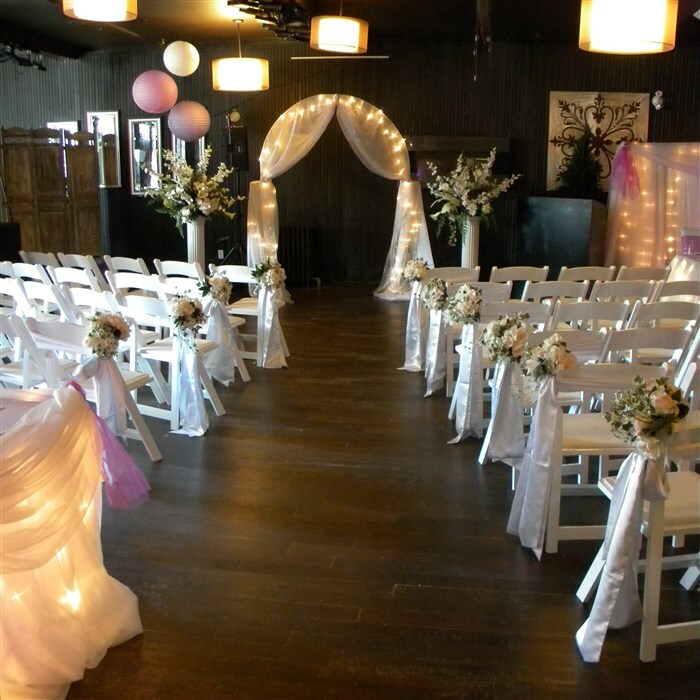 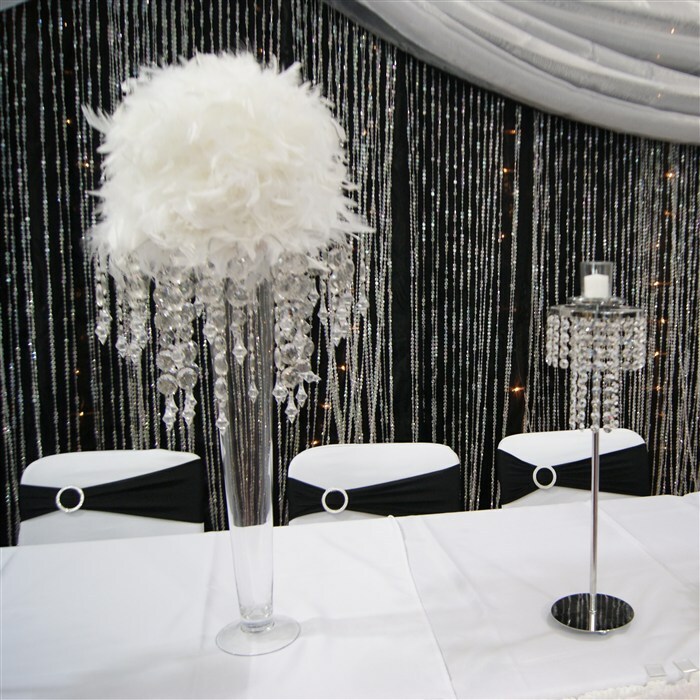 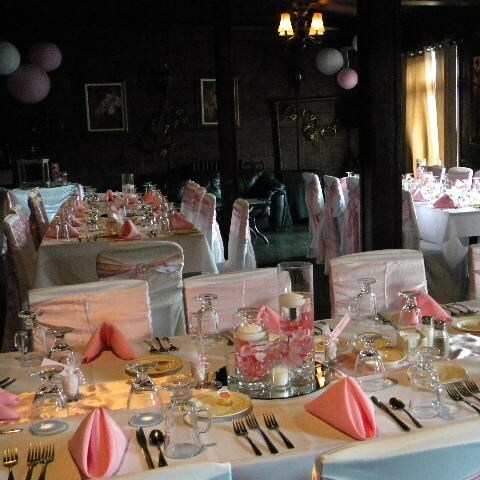 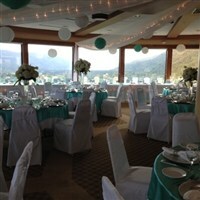 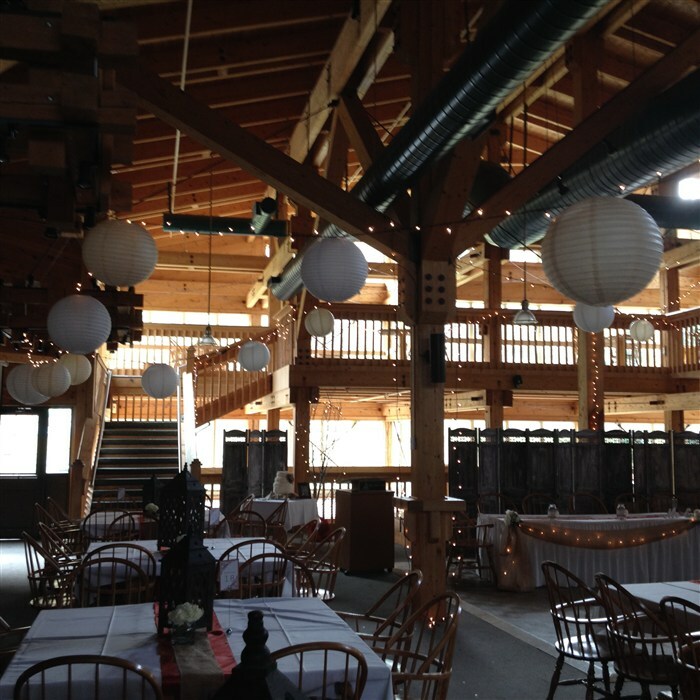 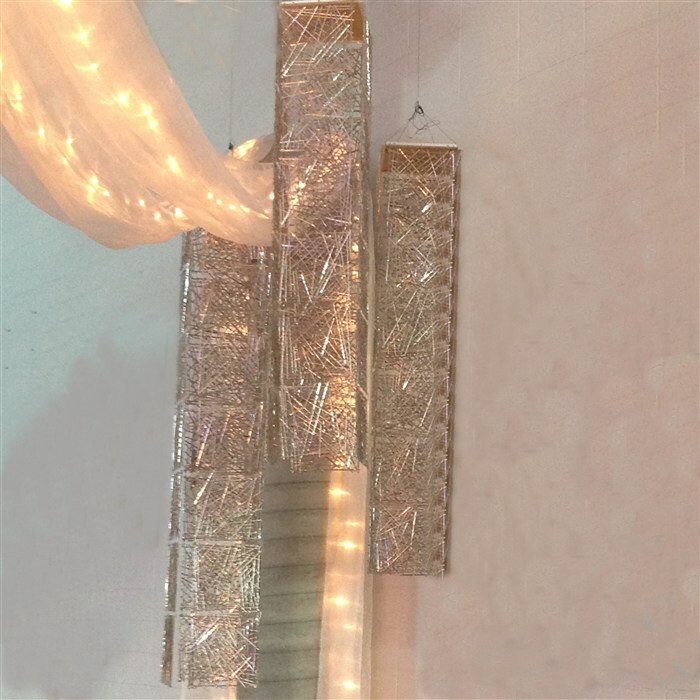 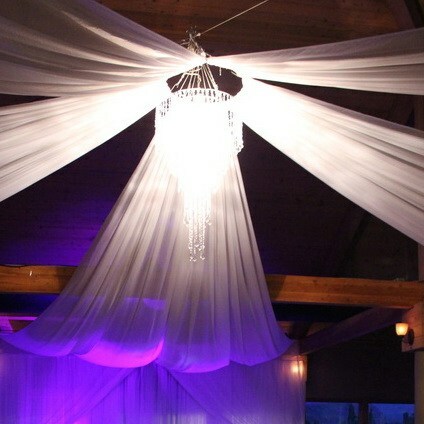 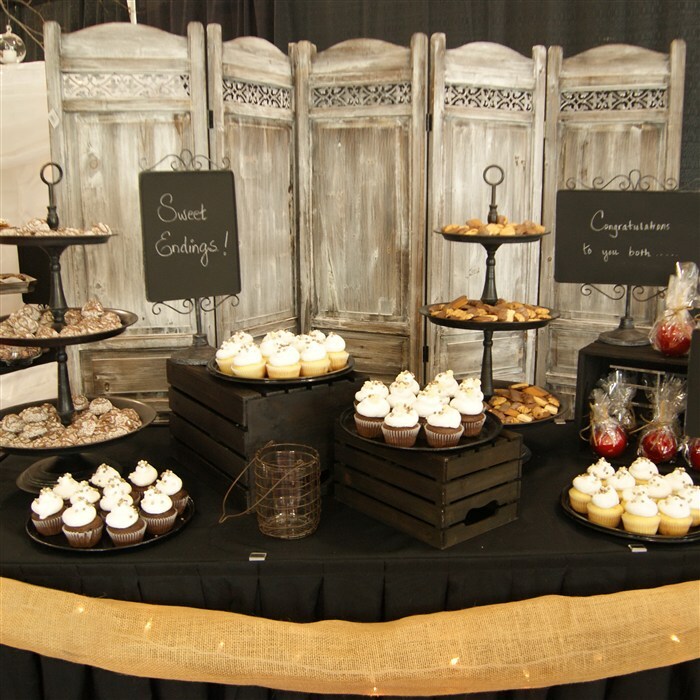 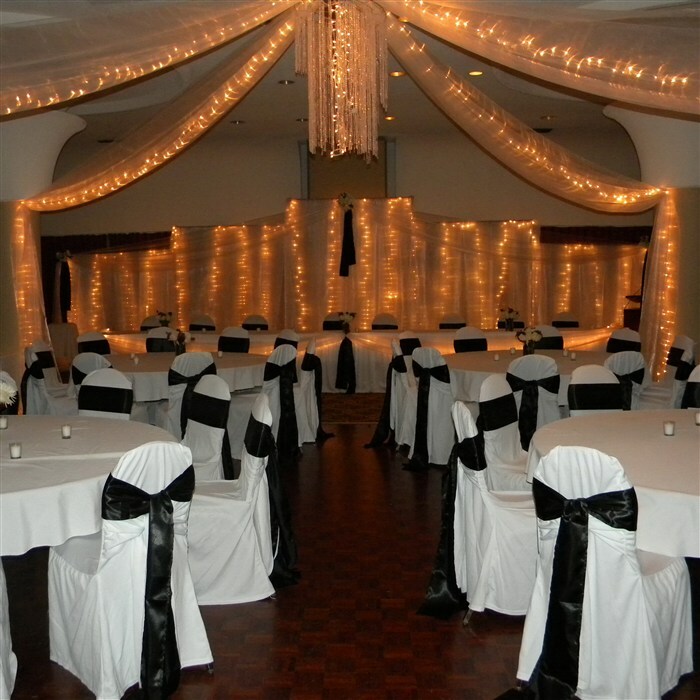 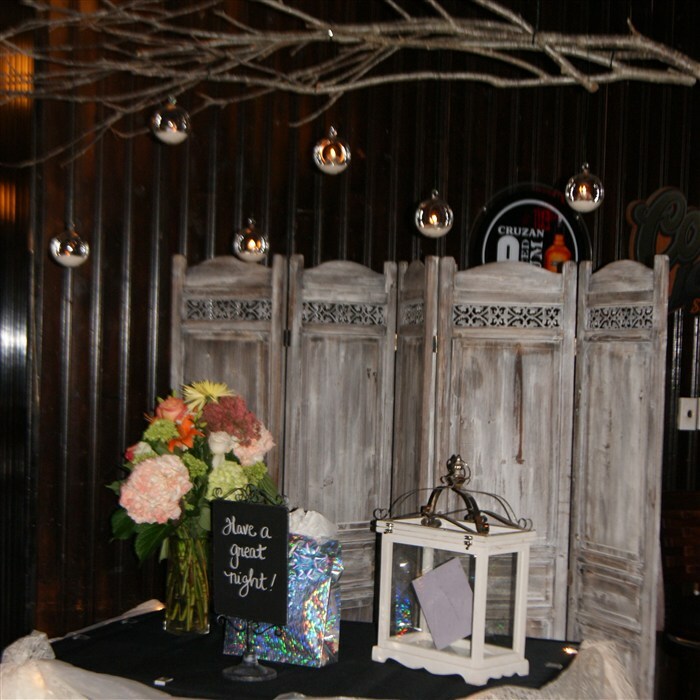 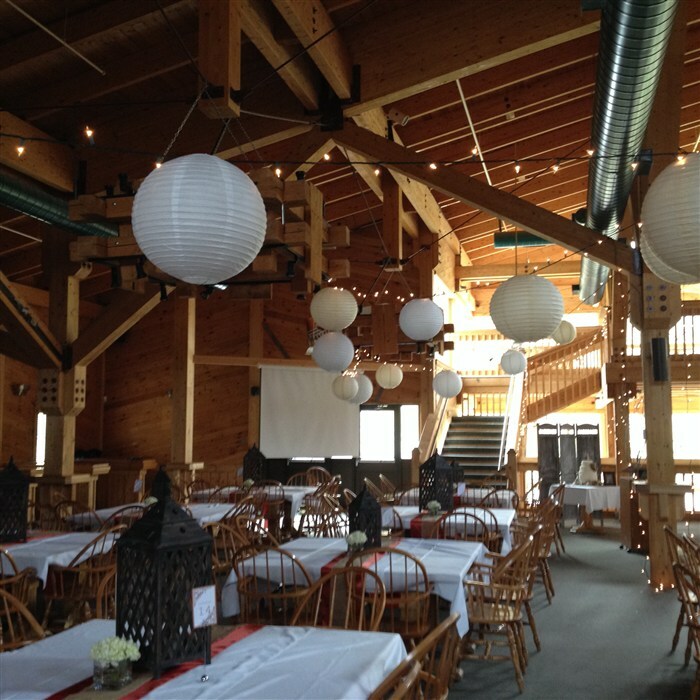 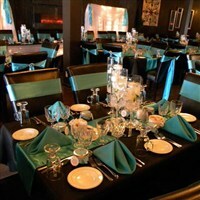 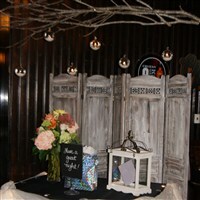 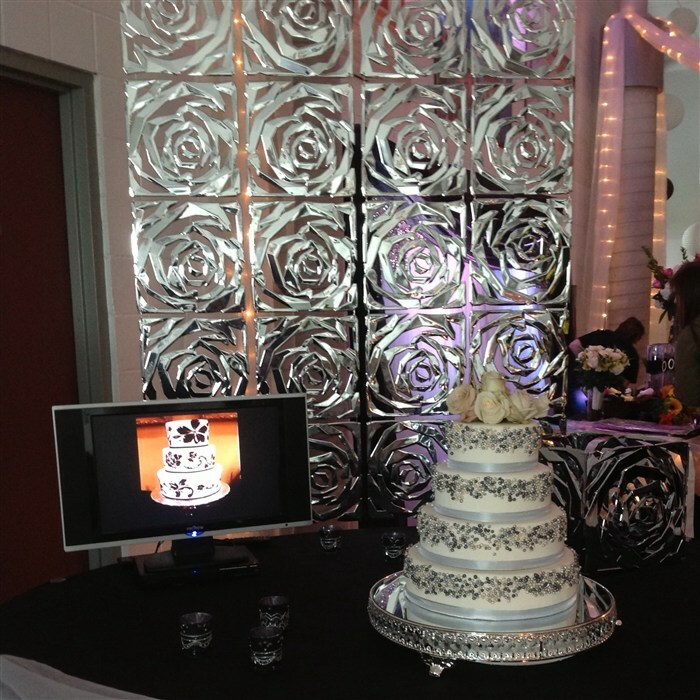 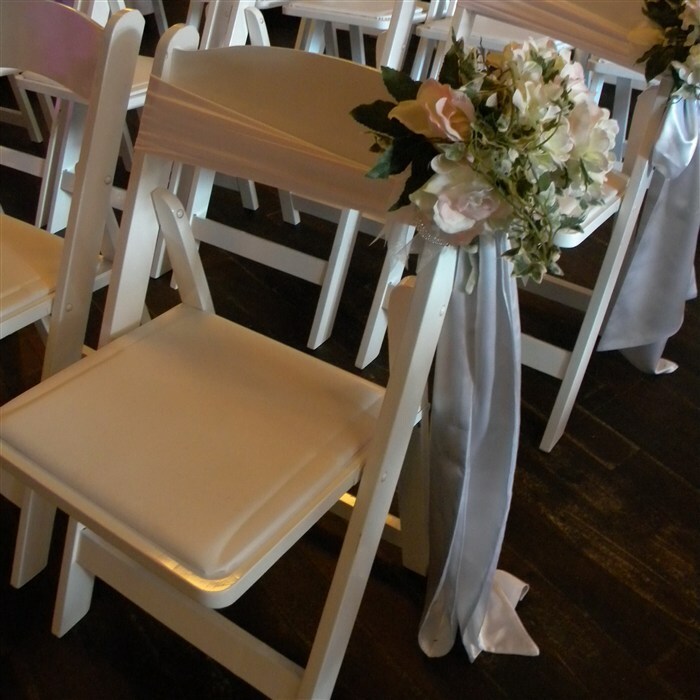 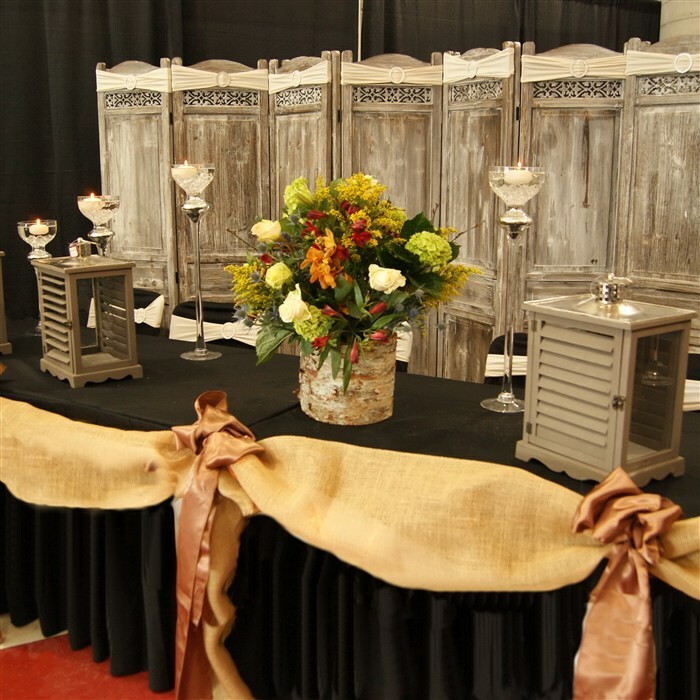 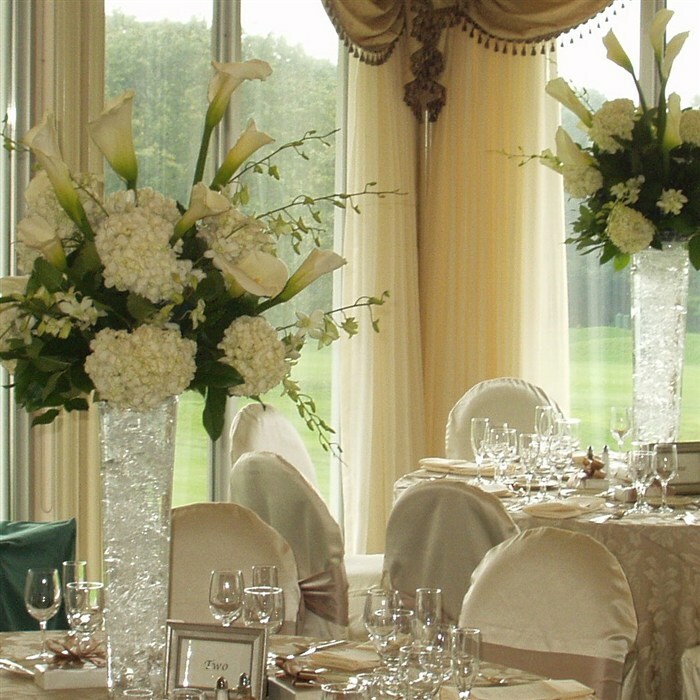 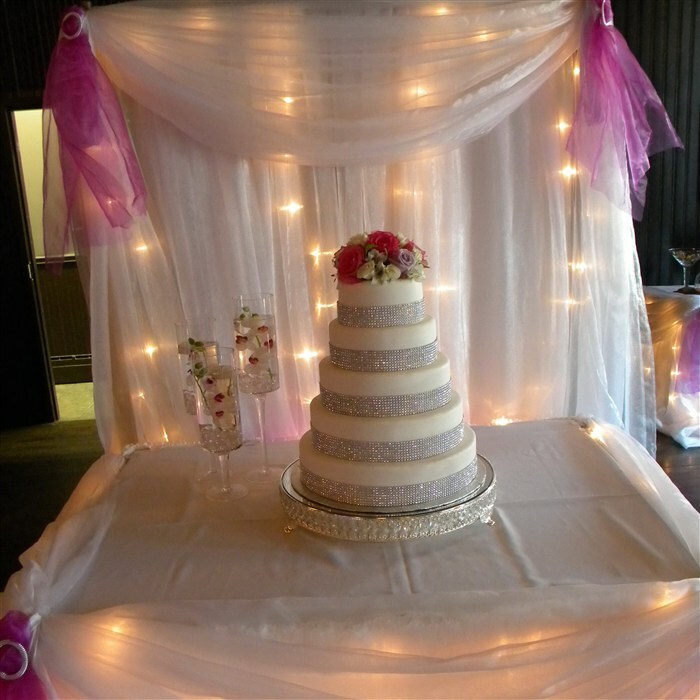 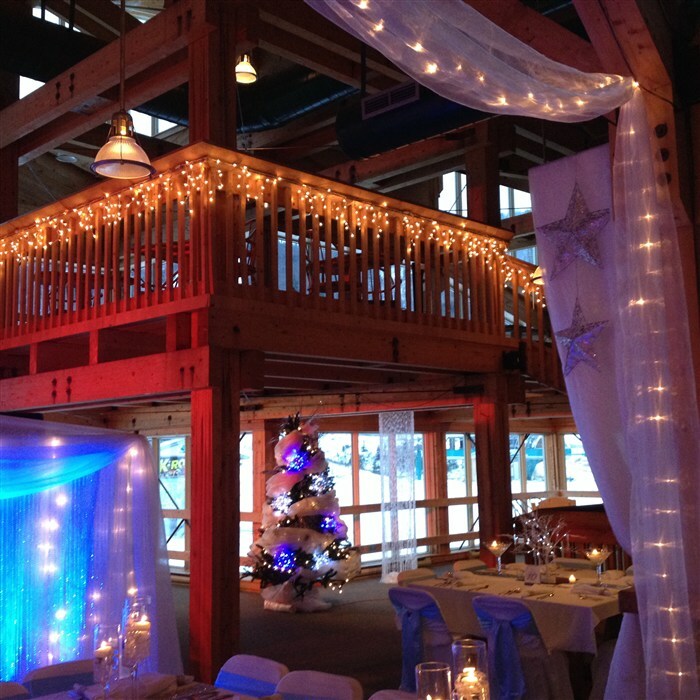 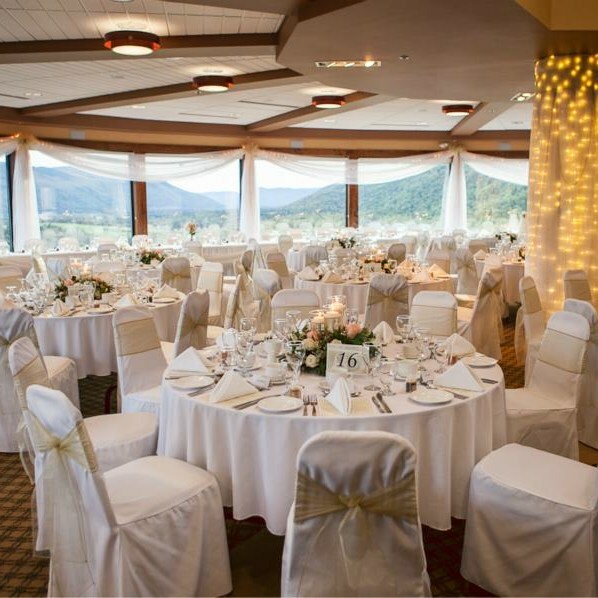 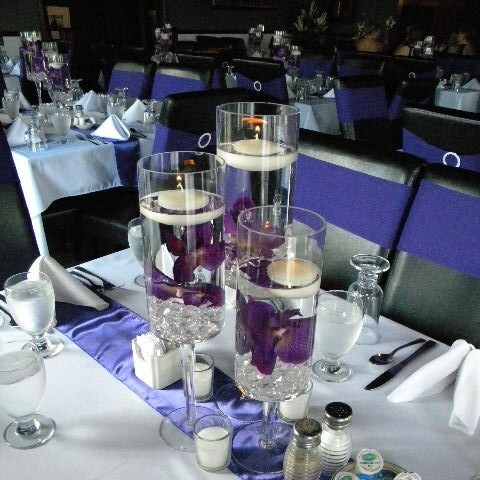 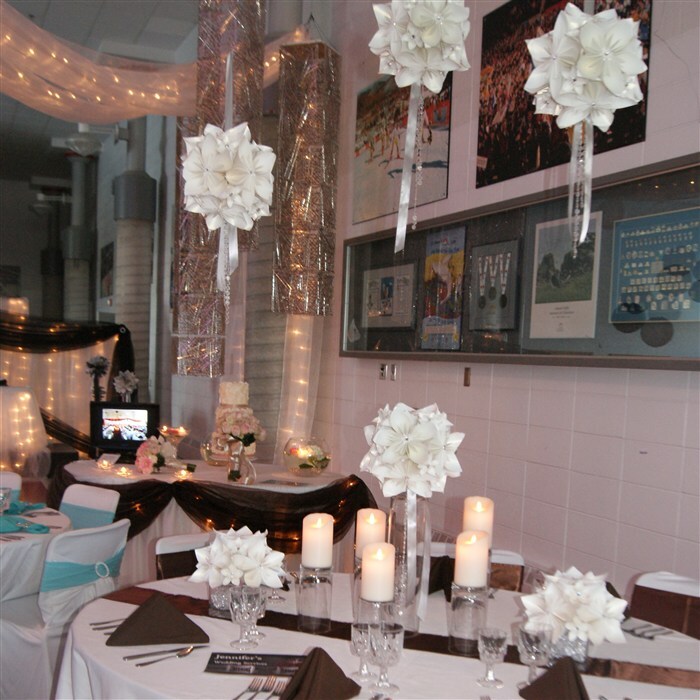 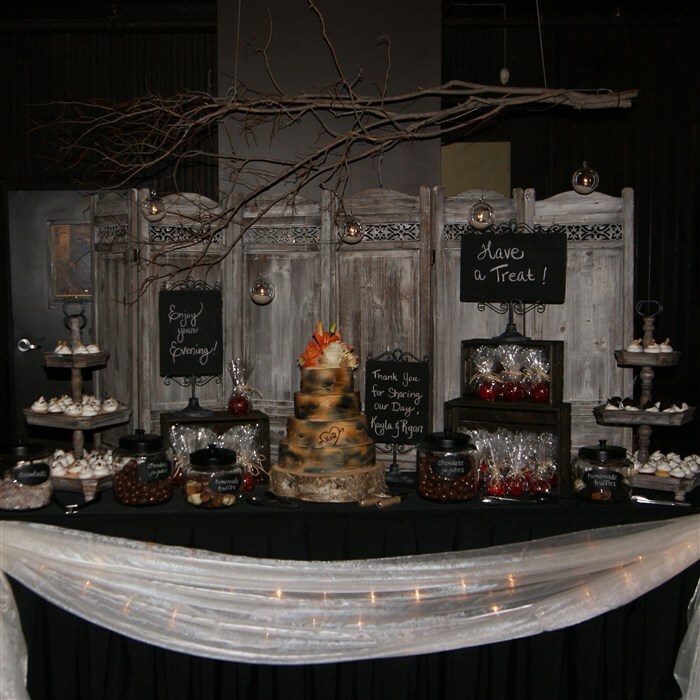 "Dwayne & I just wanted to send you a note of thanks... We were so proud of how everything turned out, from the decorating to the wonderful buffet that got rave reviews! 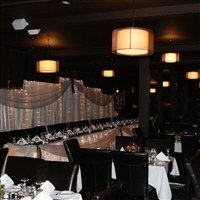 We had many compliments on how fantastic the meal was. 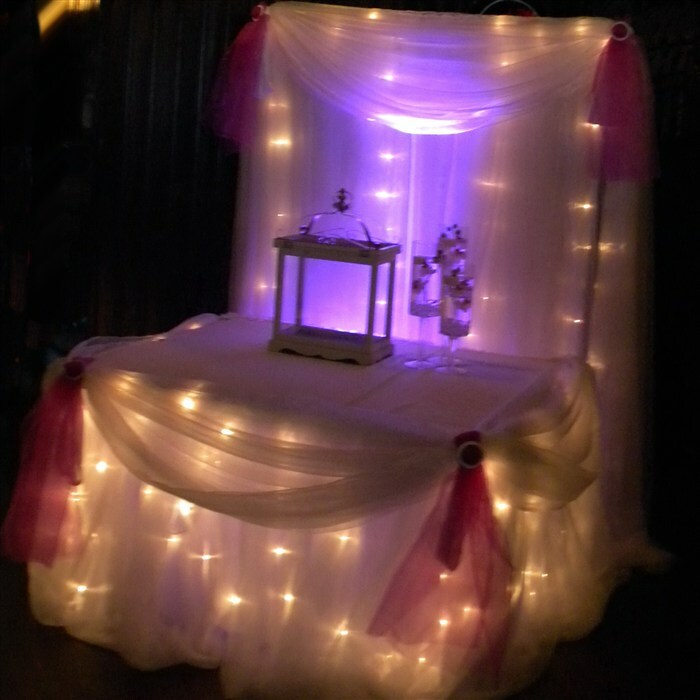 And the fact that we were able to pull it off outside made it even more special. The gazebo was decorated beautifully - between the garden with your accent decorating throughout and how pretty the gazebo looked, we couldn't have asked for a more romantic setting for the ceremony. 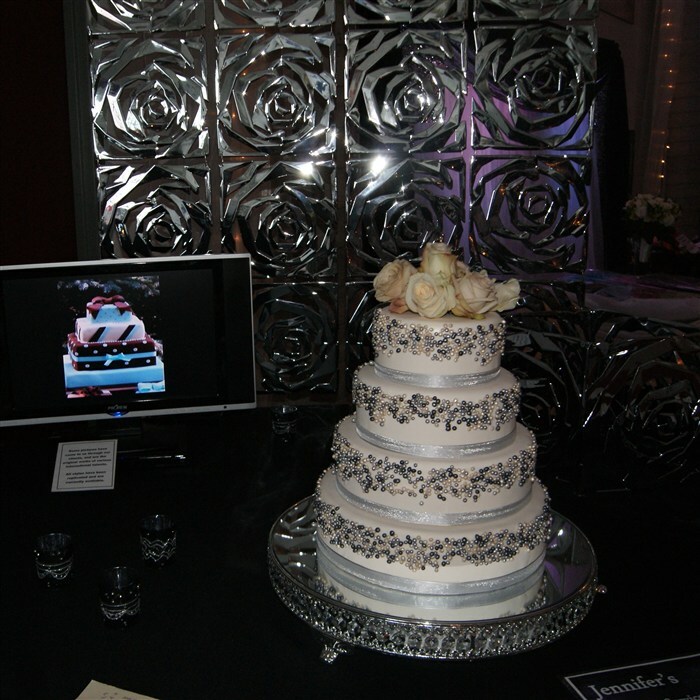 Our cake was fabulous - it was lovely. 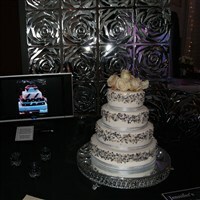 The taste was fantastic as well. 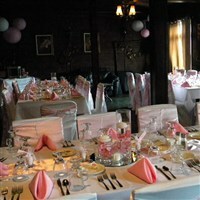 All of the staff were just wonderful and very professional. 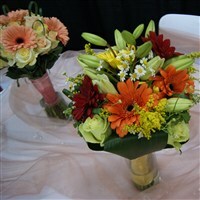 Please pass along our thanks to them once again... 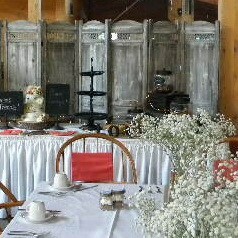 Overall, the entire day surpassed our expectations - we can honestly say we LOVED our wedding! 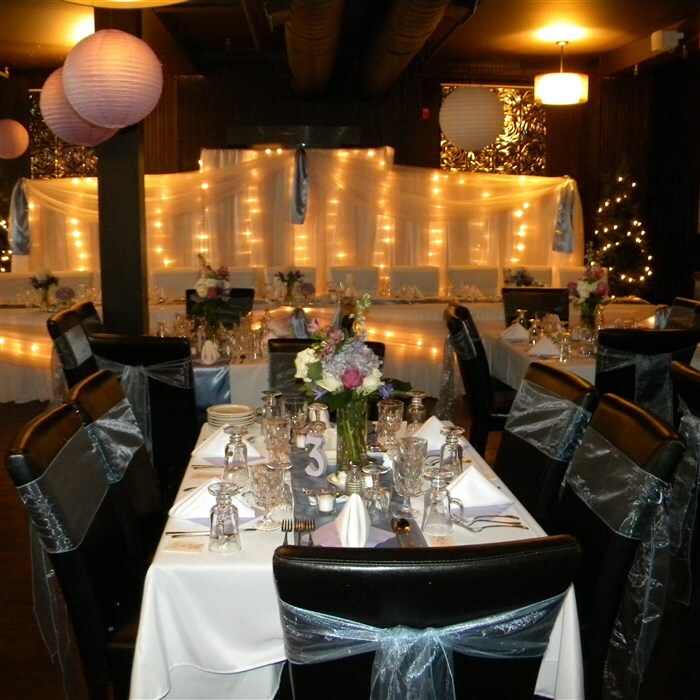 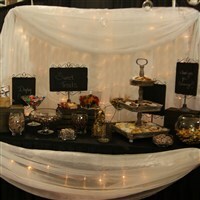 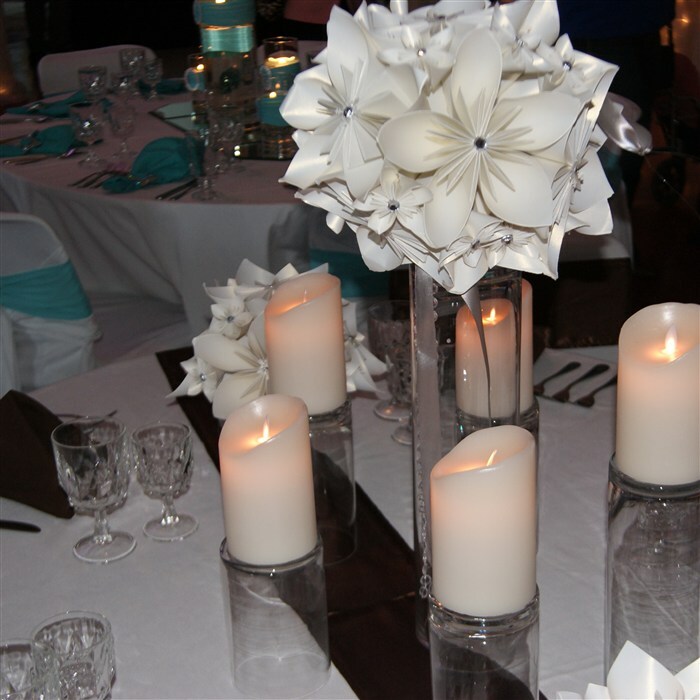 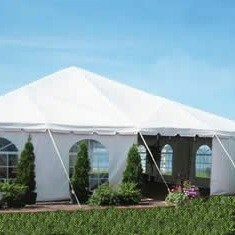 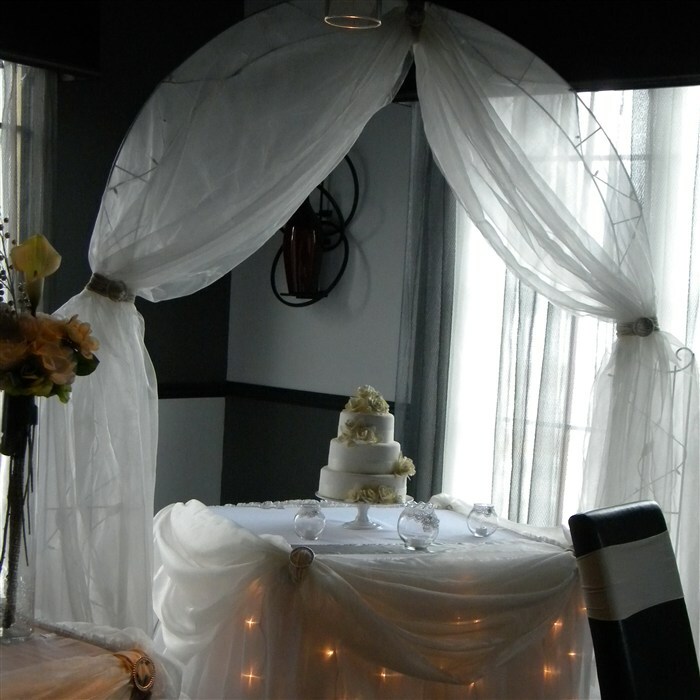 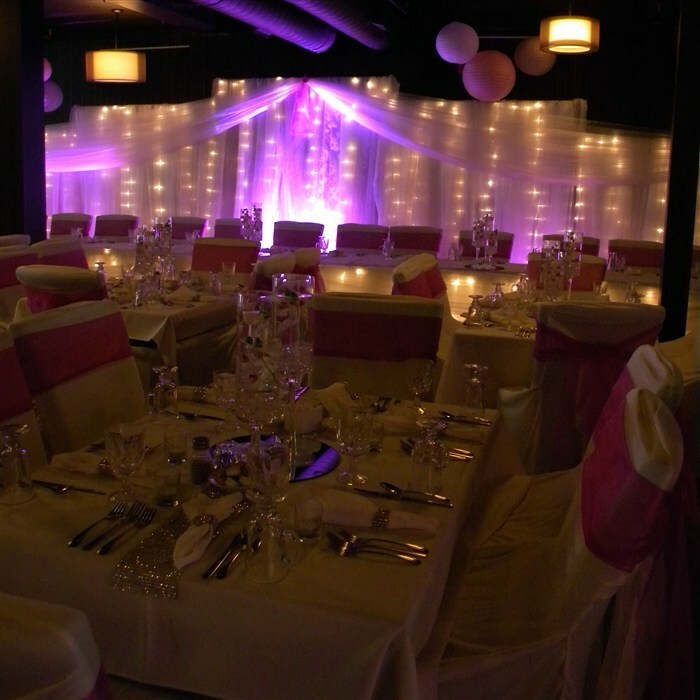 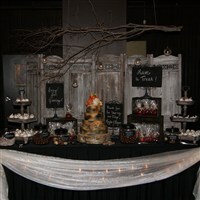 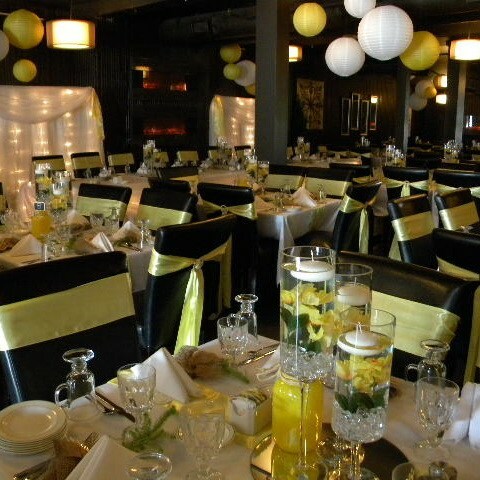 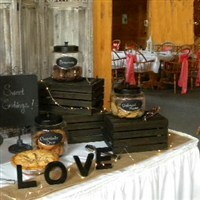 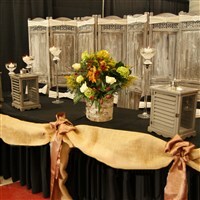 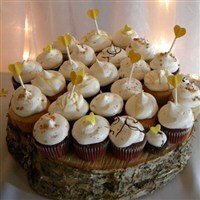 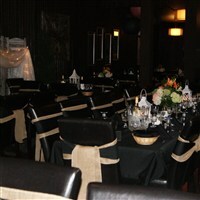 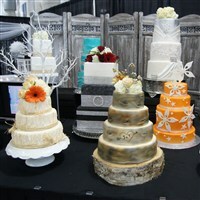 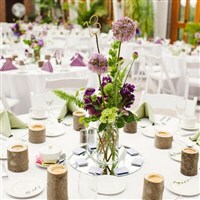 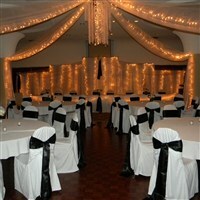 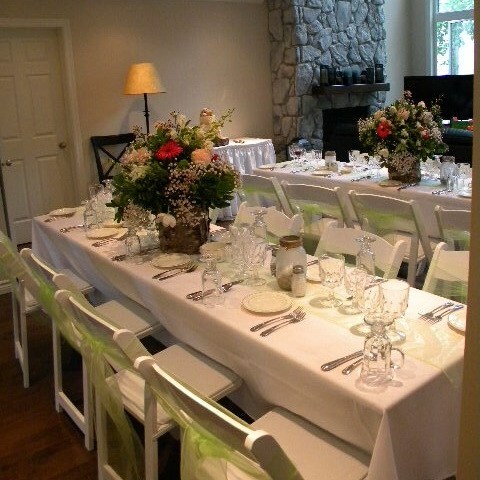 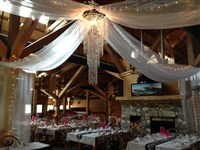 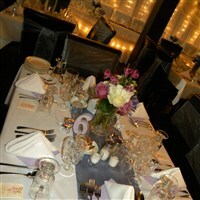 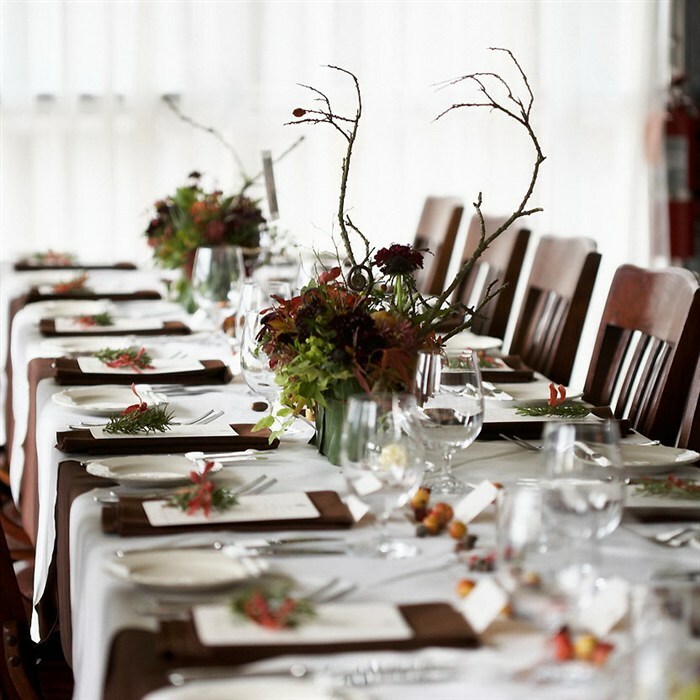 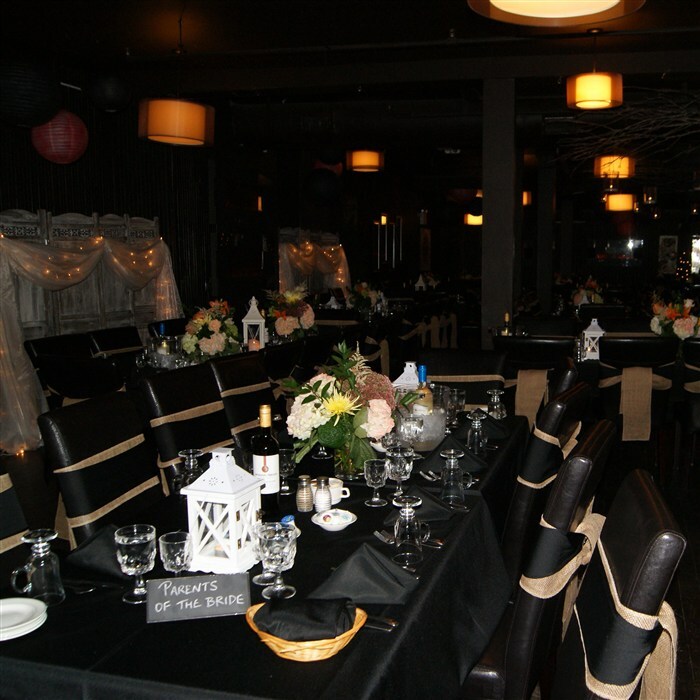 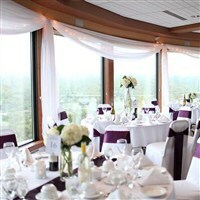 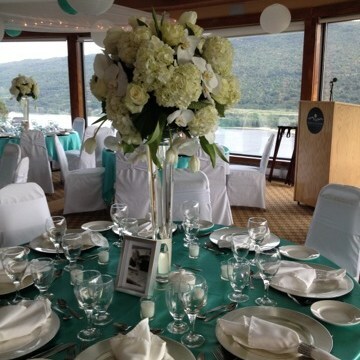 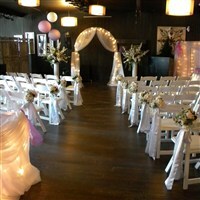 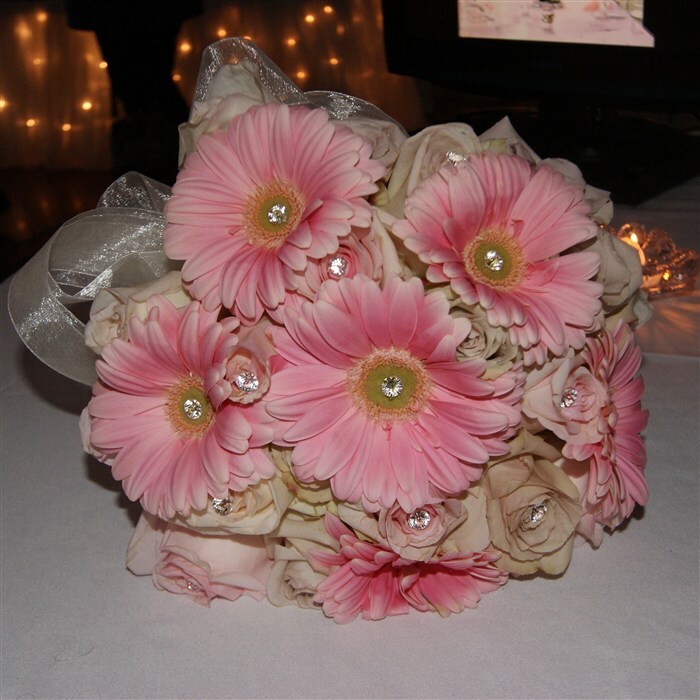 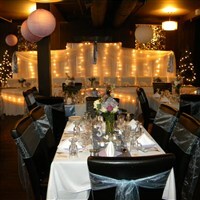 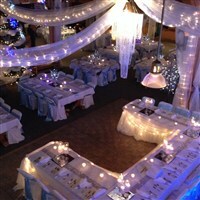 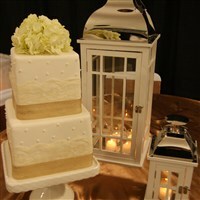 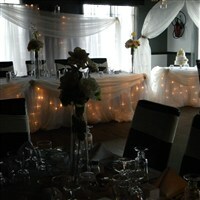 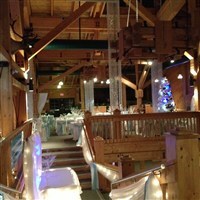 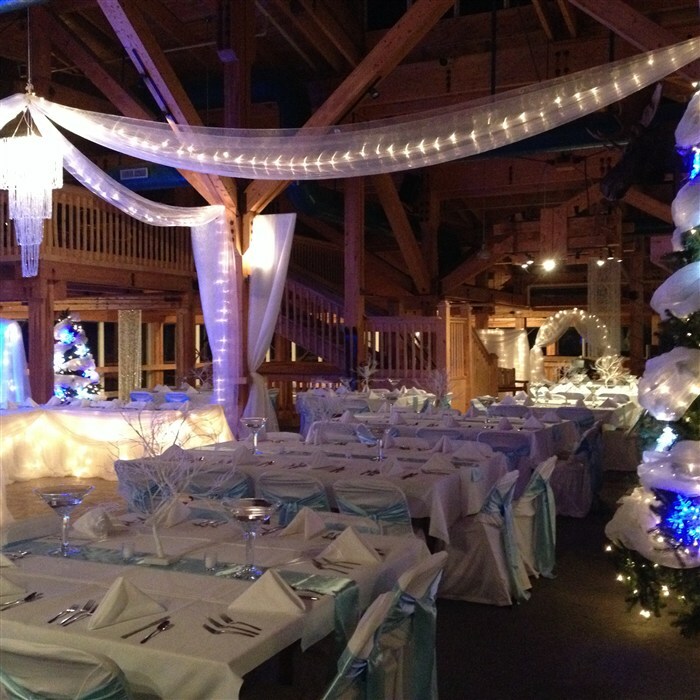 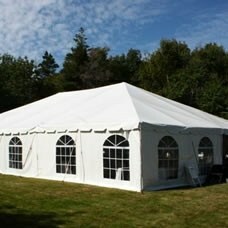 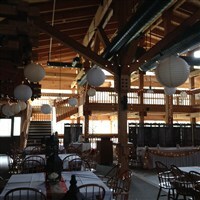 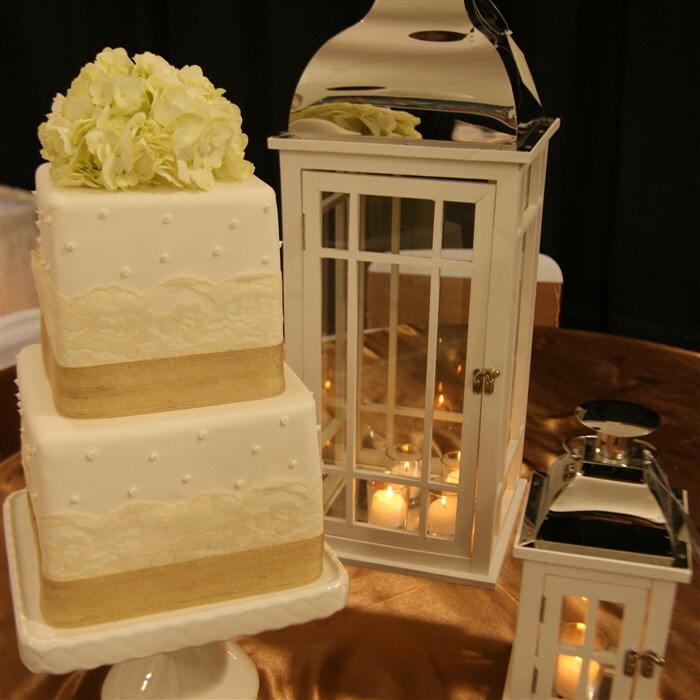 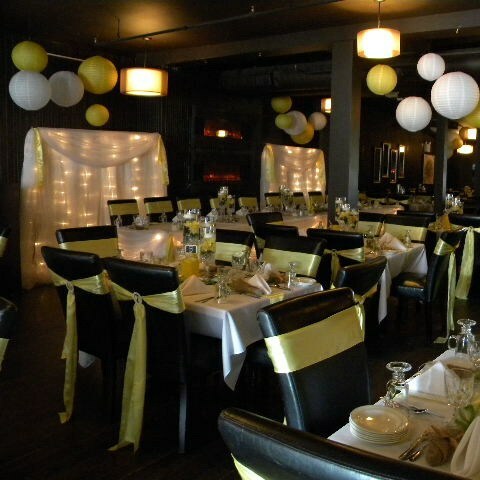 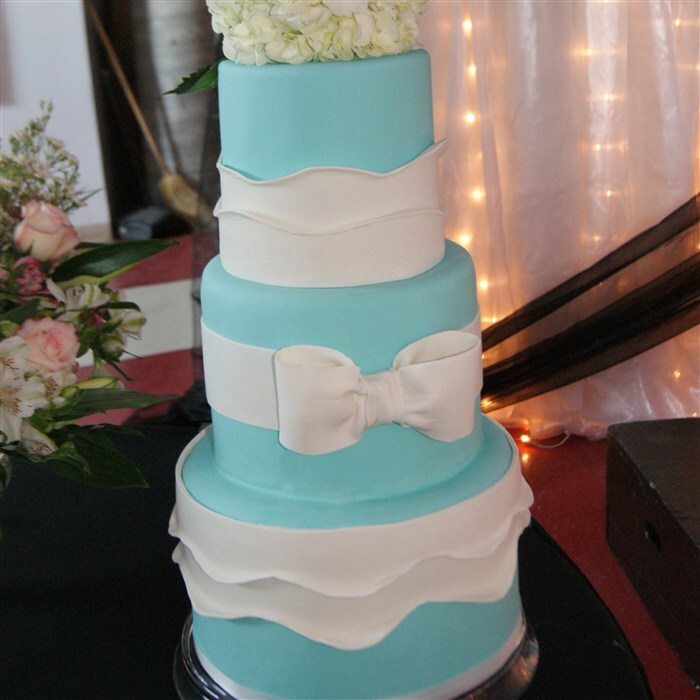 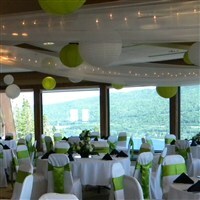 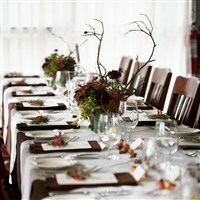 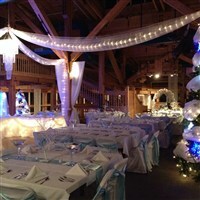 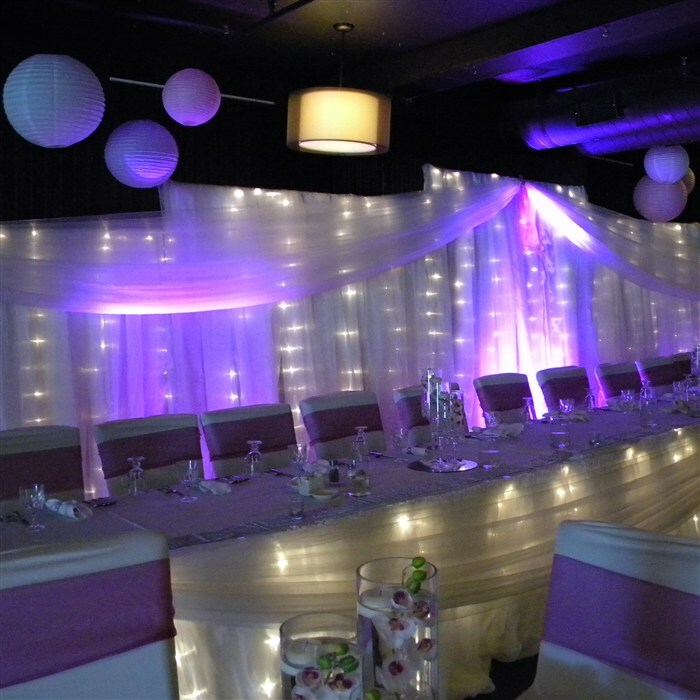 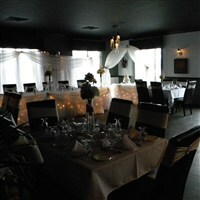 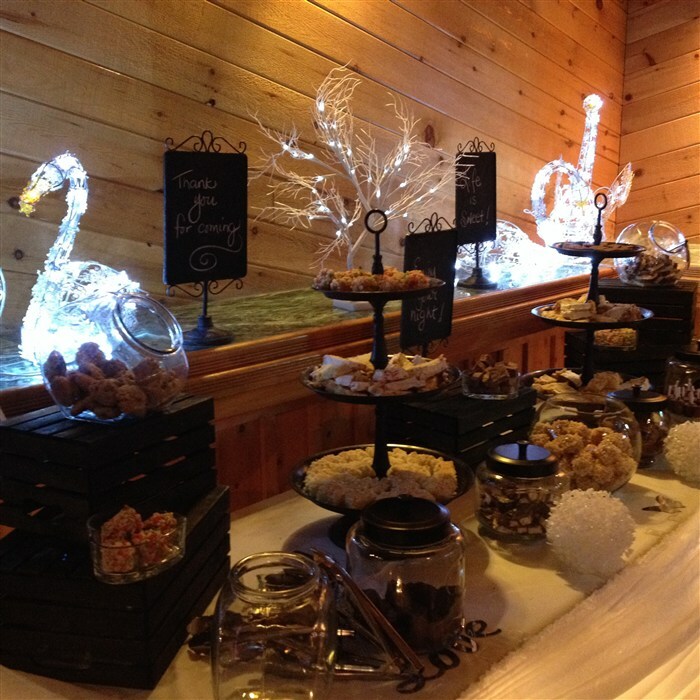 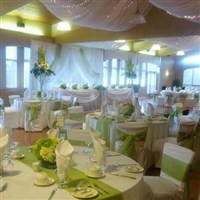 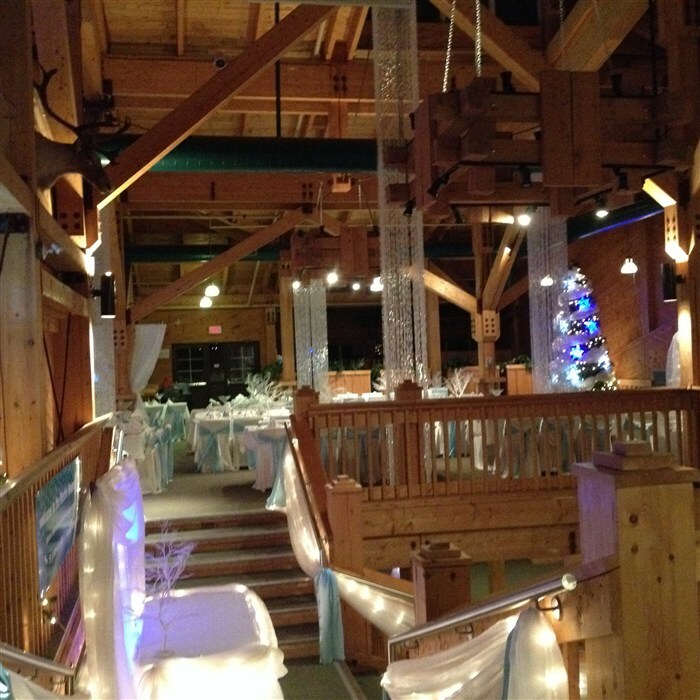 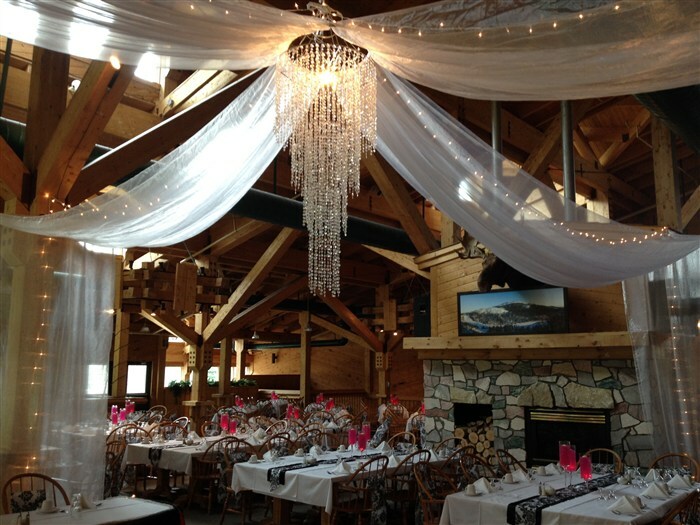 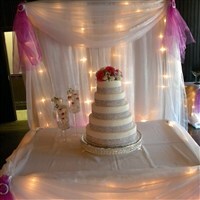 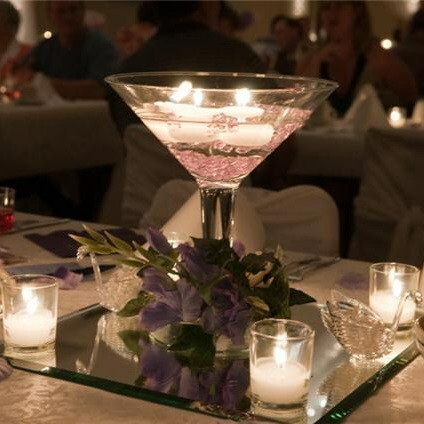 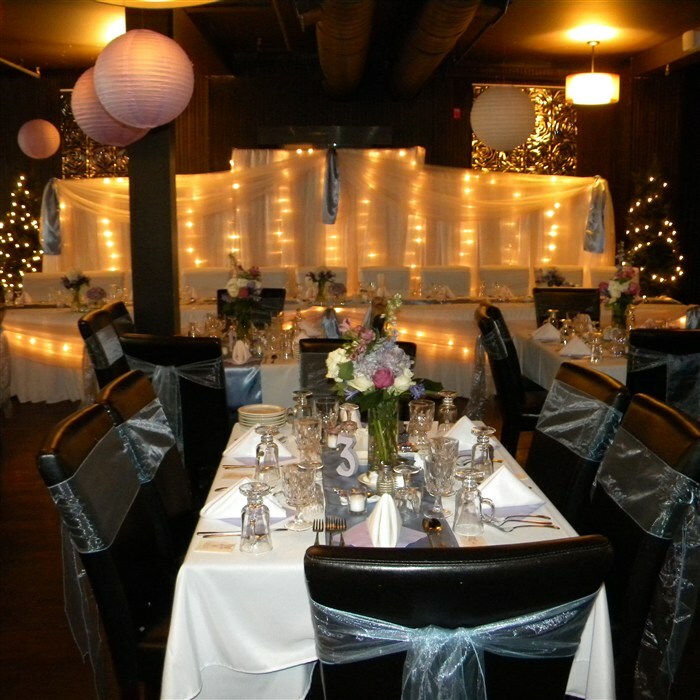 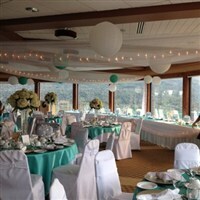 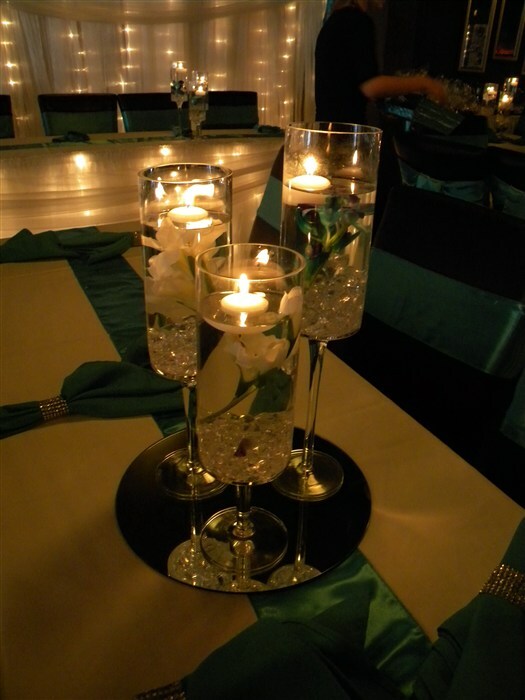 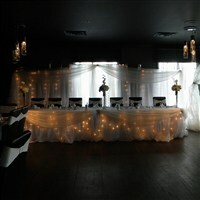 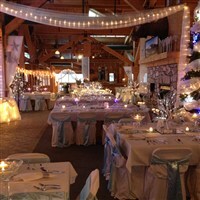 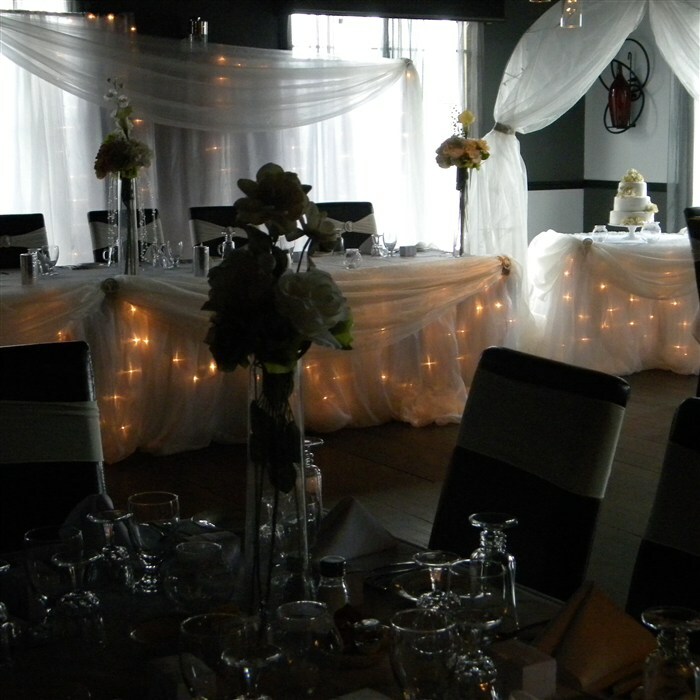 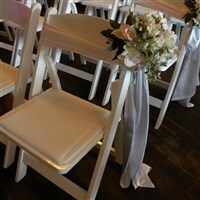 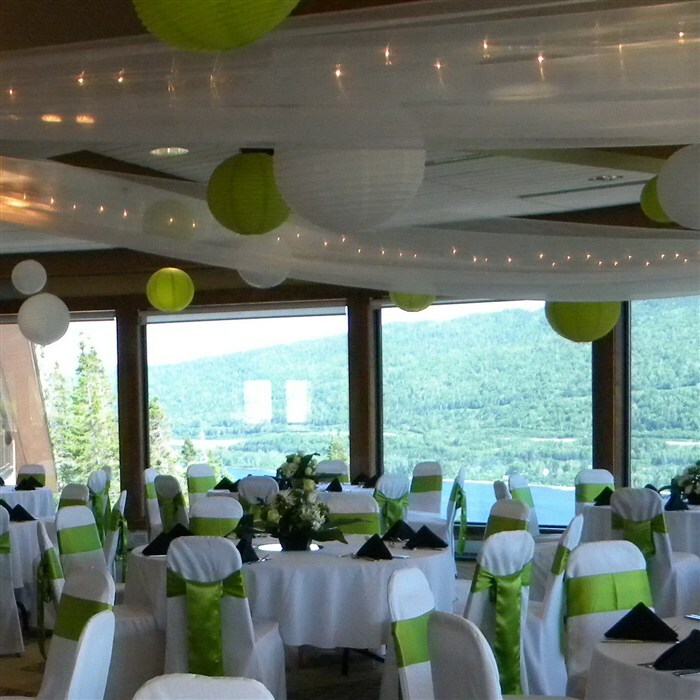 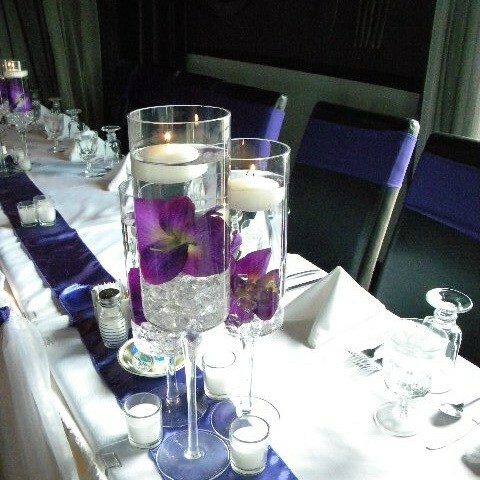 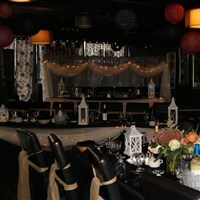 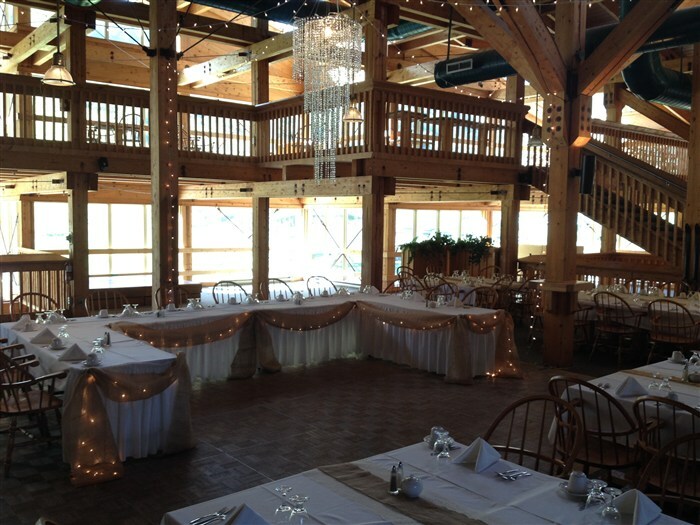 Thank you again - we will highly recommend Jennifer's to others that may be planning a wedding in Newfoundland." 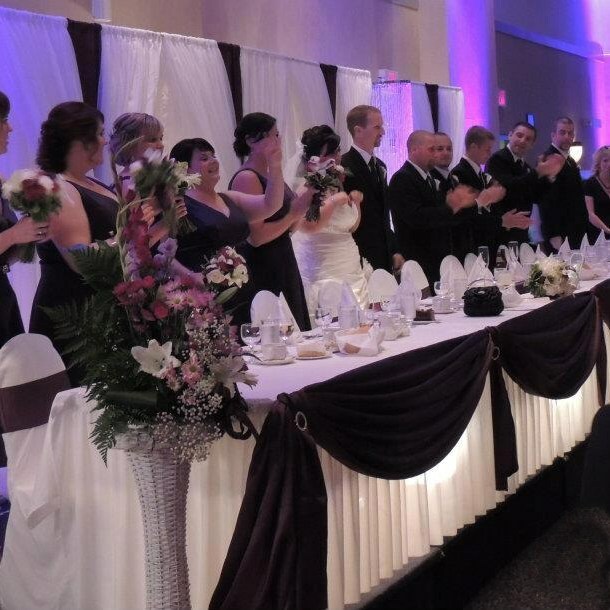 "We honestly cannot thank you enough for making our wedding so special. 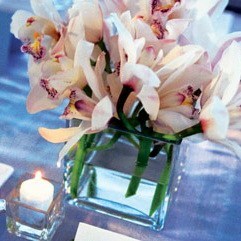 Thank you for the beautiful rehearsal party and wedding celebration. We had a blast, that we'll cherish a lifetime!! "Thank you for making our wedding day special. 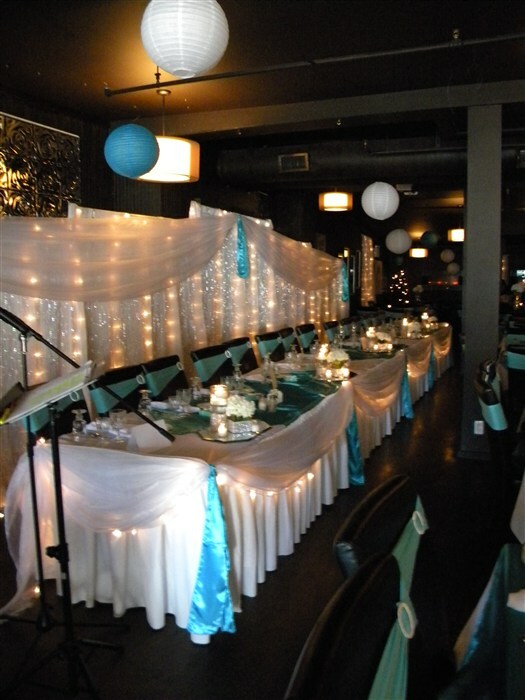 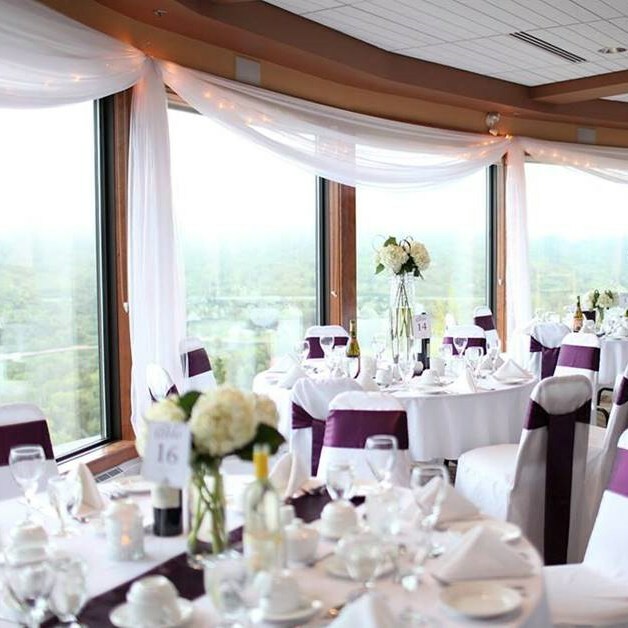 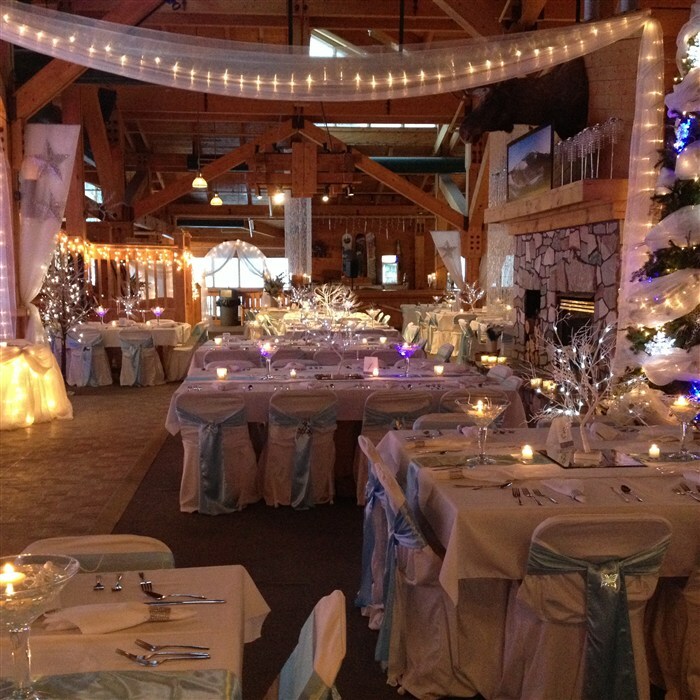 We truly appreciate how easy you made planning a wedding from Ontario. 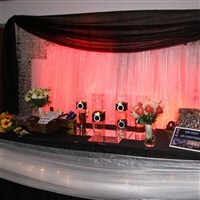 We will remember our wonderful reception for years to come." "I want to thank you so much for helping us make our day so special. 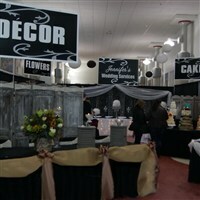 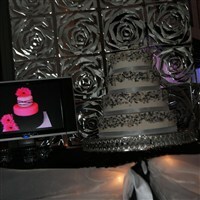 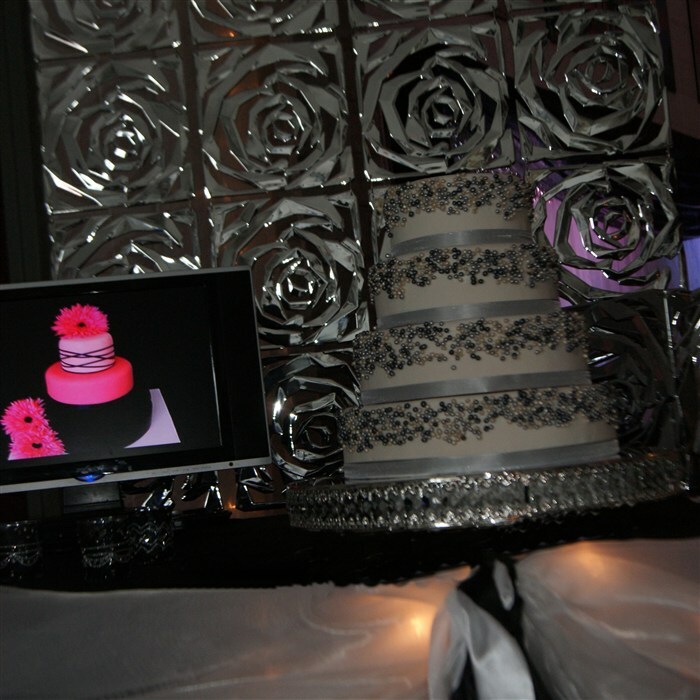 The bouquets, cake and decorating were unbelievable. 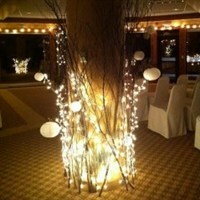 Everything was so much more than I was expecting. 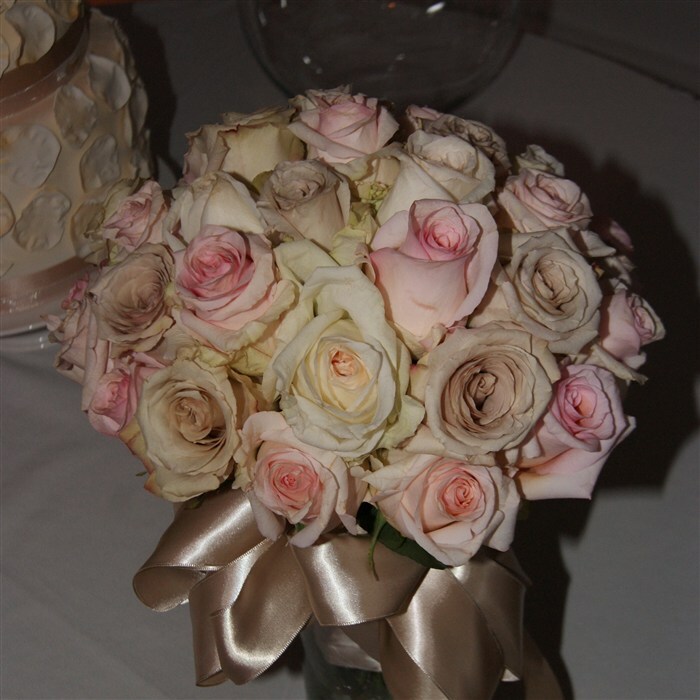 We really can't thank you enough." 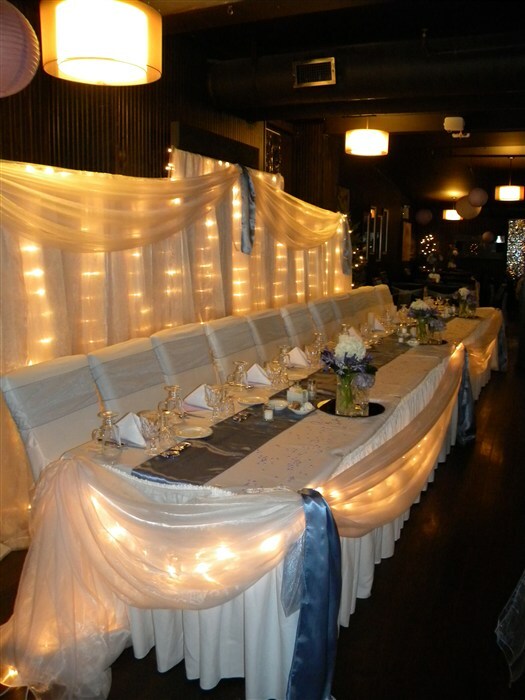 "Thank you so much for all of your help with the lead up to the wedding, the entire day turned out fantastic and even better than I could have imagined. The ceremony, decor, food, cupcakes, and everything else in between was fantastic. 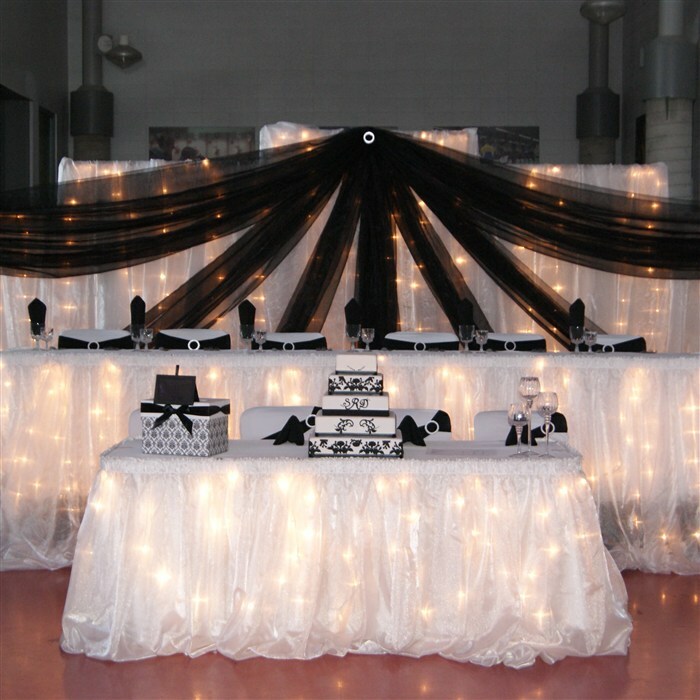 Everyone really went above and beyond in order to make the day what it was. 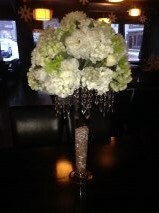 So thank you again...!!!" 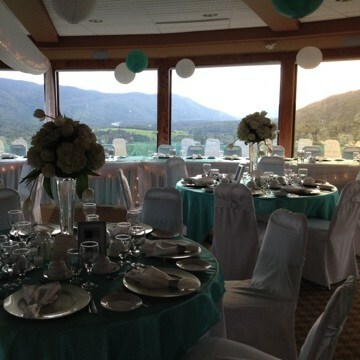 "Thanks again to all you guys for an unbelievable wedding day! 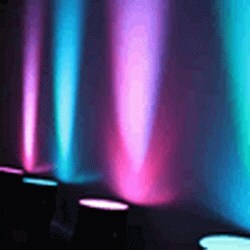 It was the best party I was ever to in me life!!!" 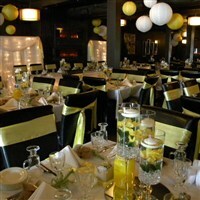 "Just wanted to write a THANK YOU to you and your staff for all of your help the past few months. The Eagle's Perch was decorated beautifully and everyone loved it! 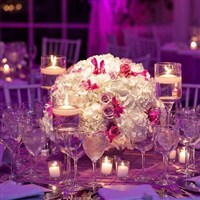 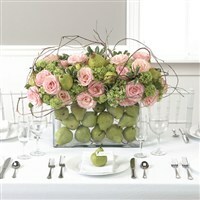 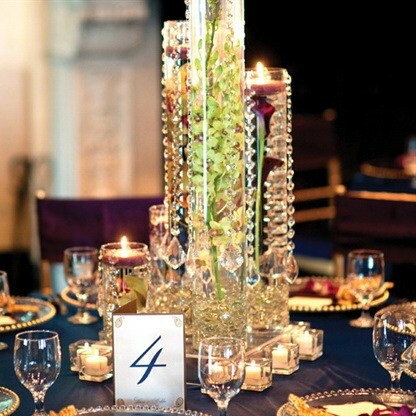 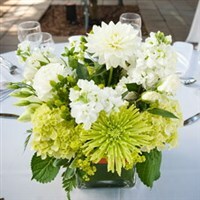 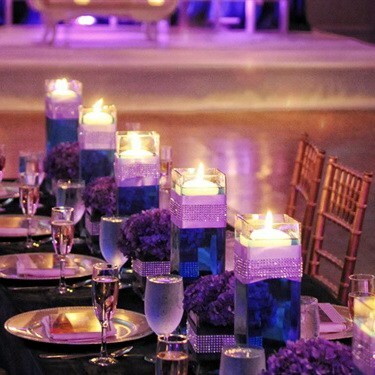 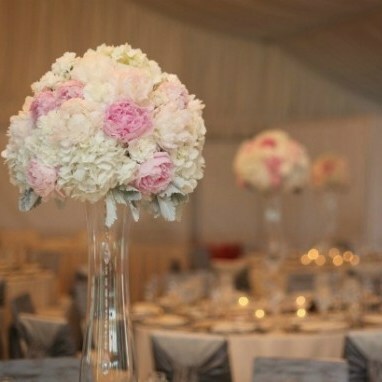 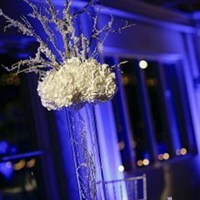 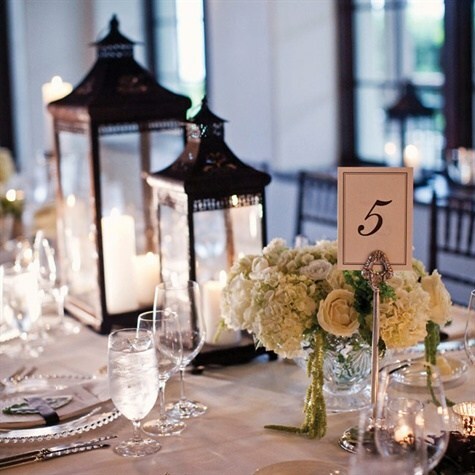 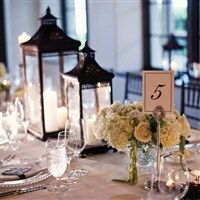 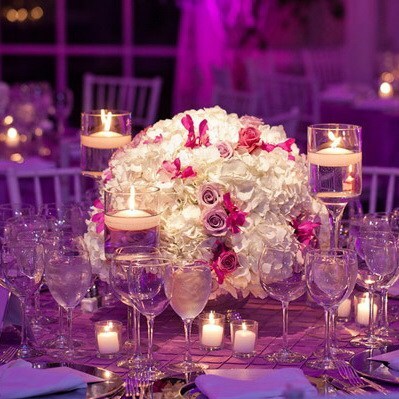 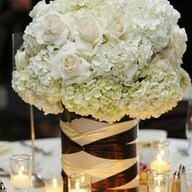 I especially loved the hydrangea centerpieces. 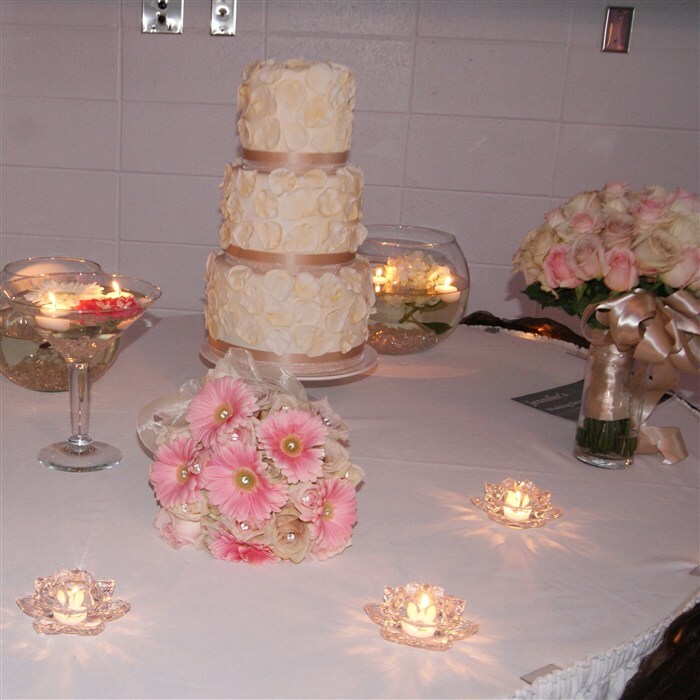 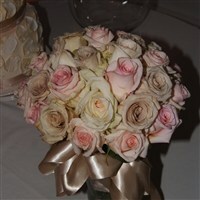 The cake and bouquets were fabulous too. So please pass along my thanks to everyone who helped."